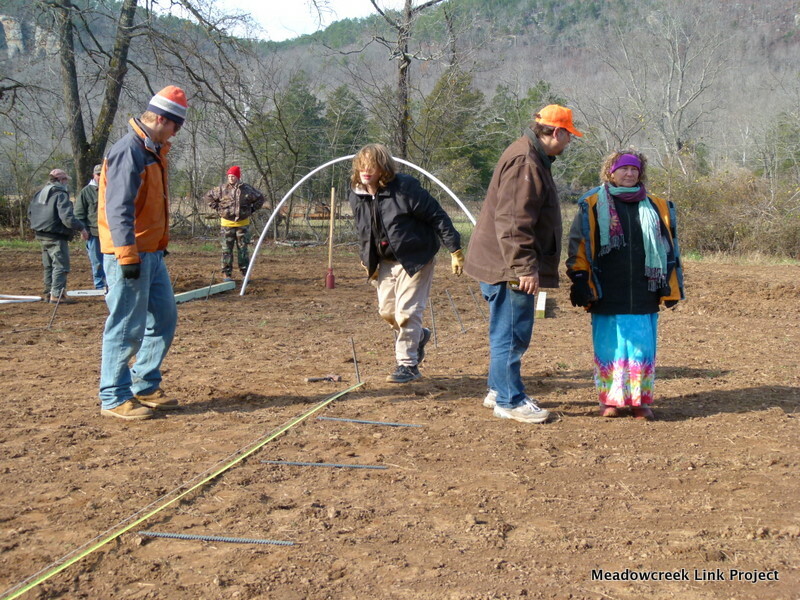 Debbie and John Hermansen “changed their world” in 1996 when they dug up their back yard and planted their first garden. 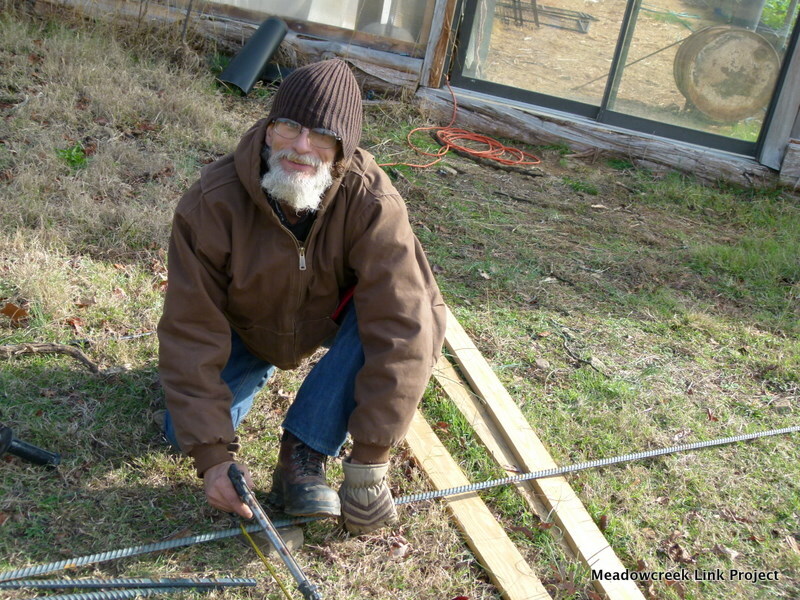 John, who is a Master Electrician, found his natural green thumb and much joy. 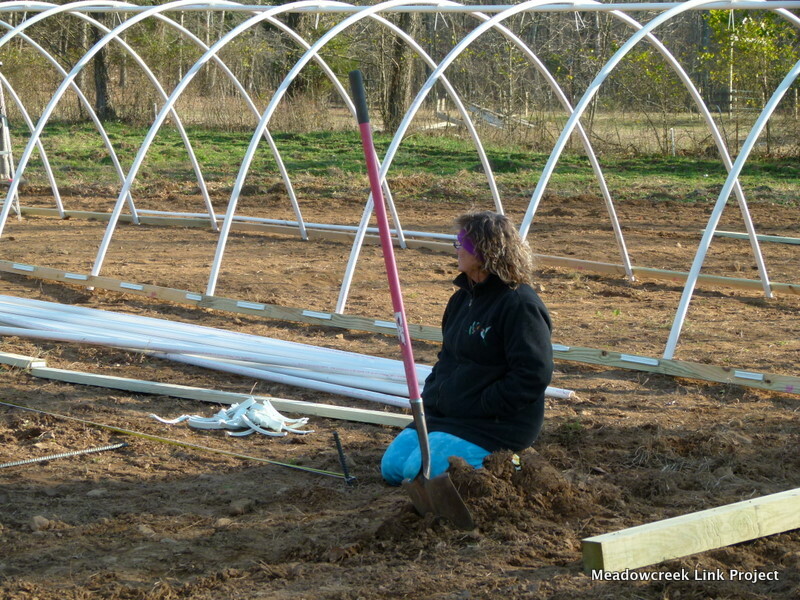 Debbie became equally passionate about preparing fresh, natural food for her family. 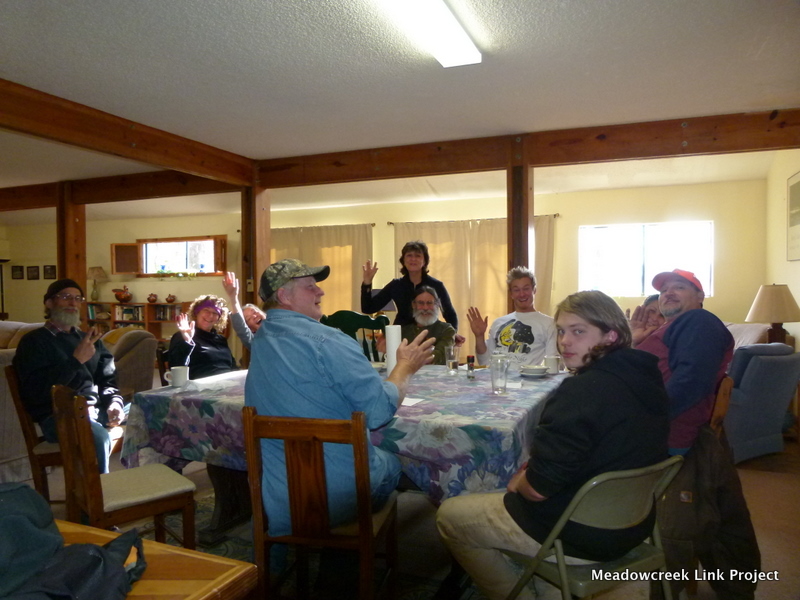 The Hermansens moved to Meadowcreek in 2009. 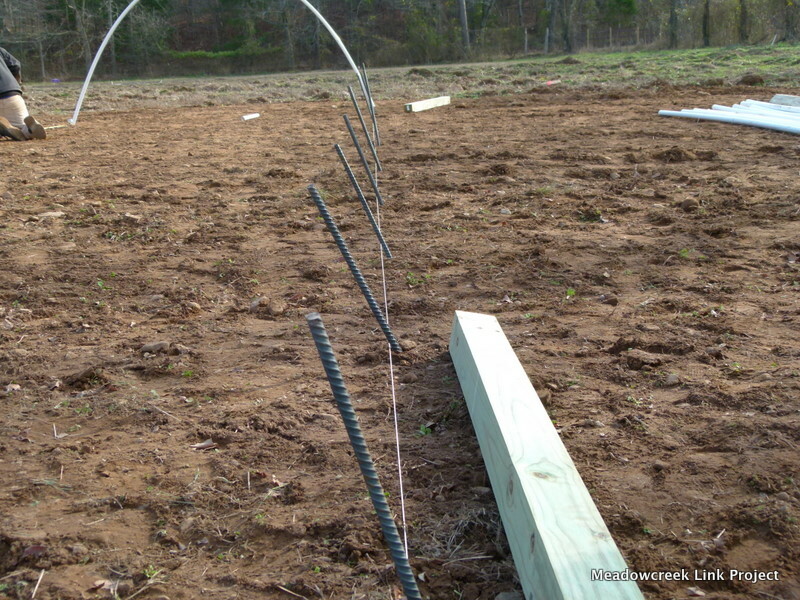 They started raising chickens for their eggs and began transforming their challenging and “hilly” backyard landscape into tiers for their garden. 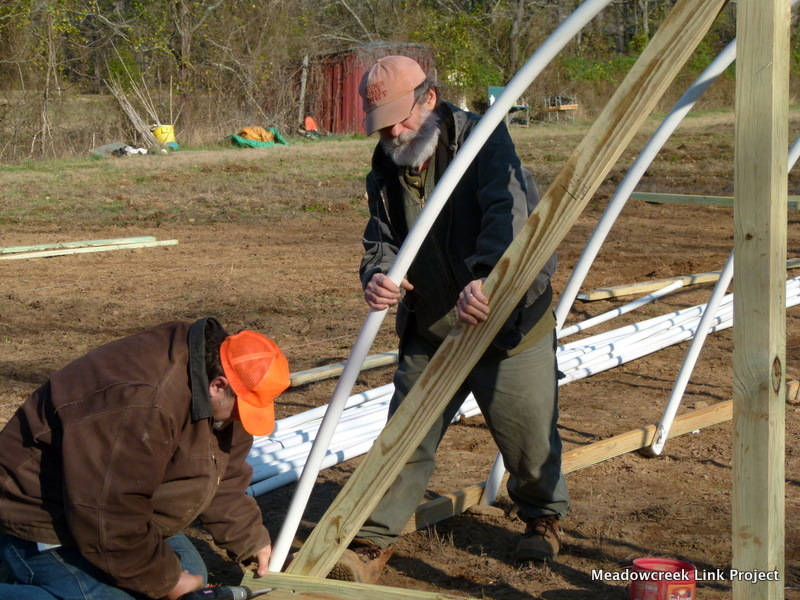 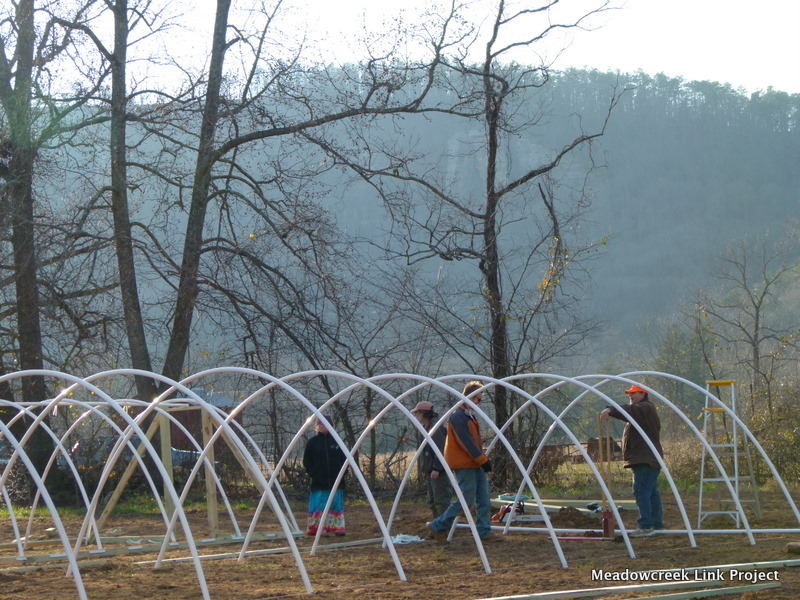 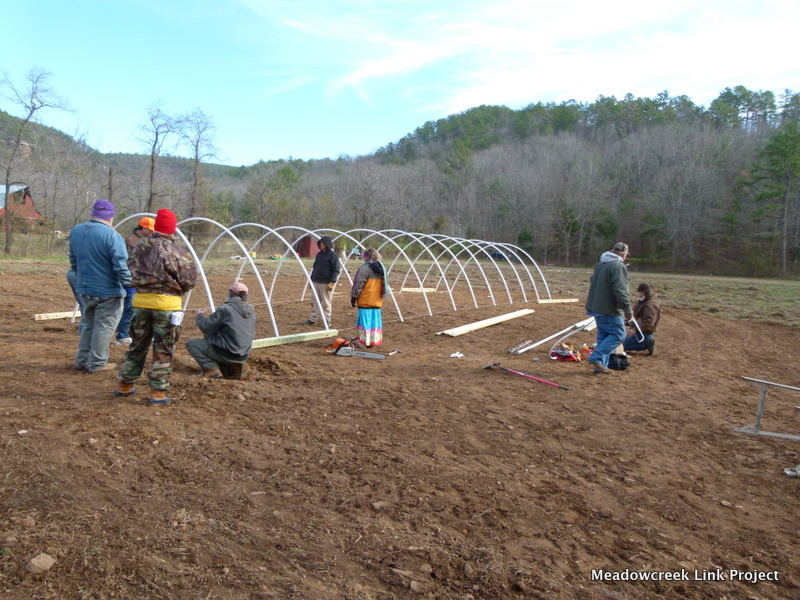 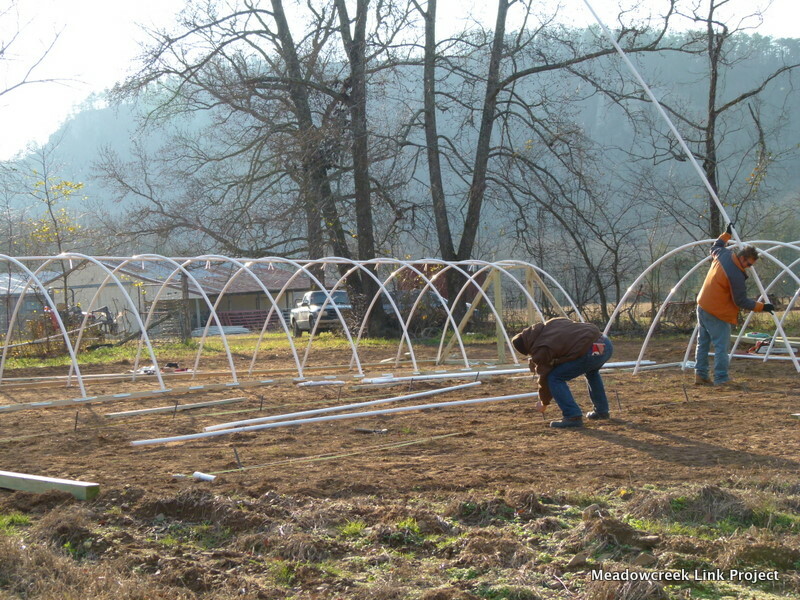 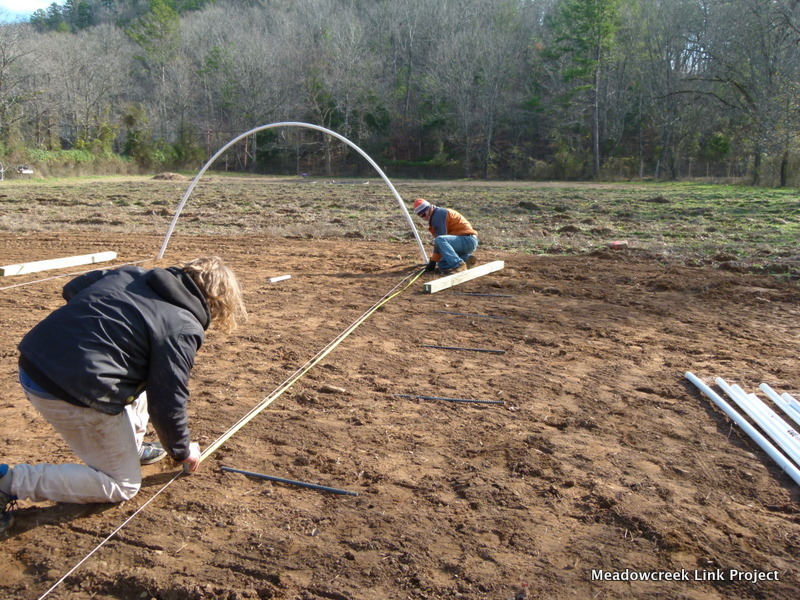 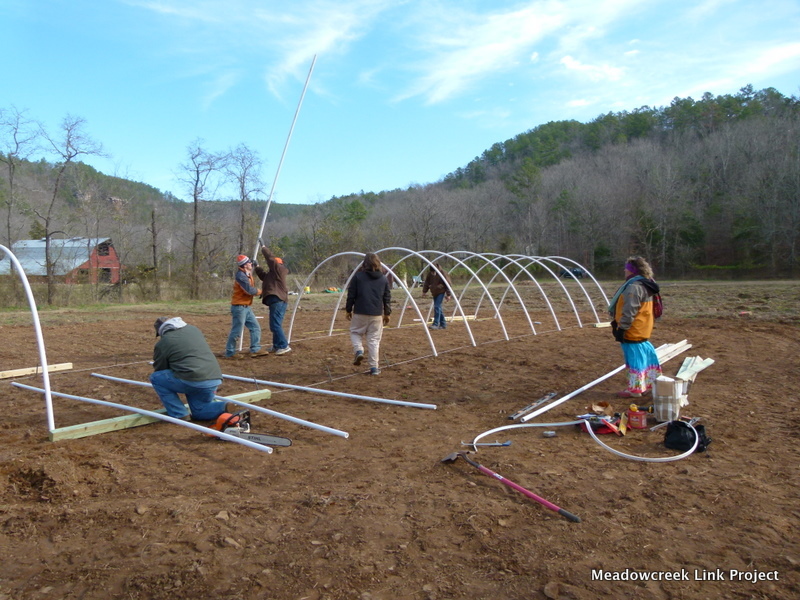 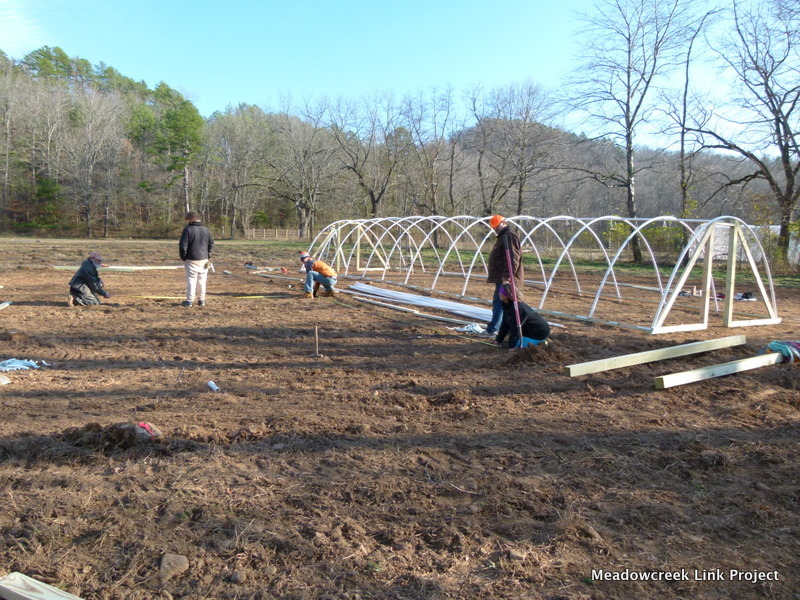 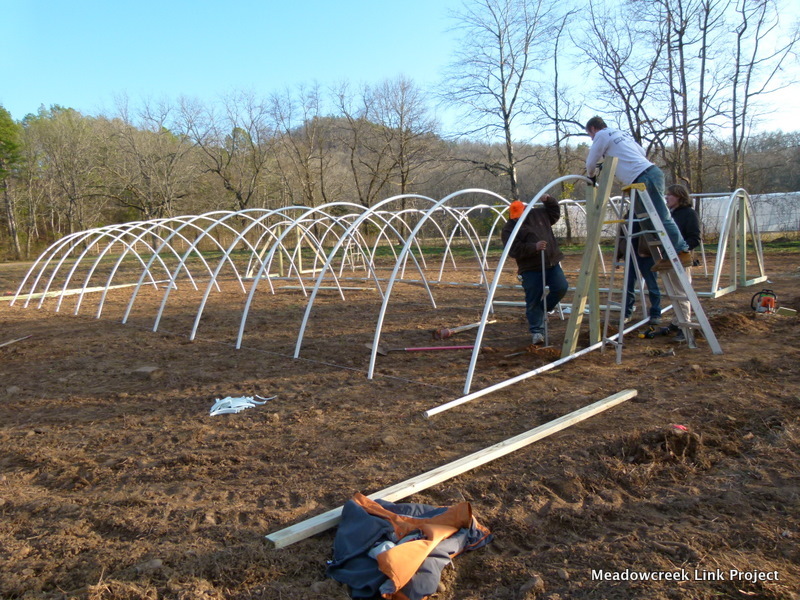 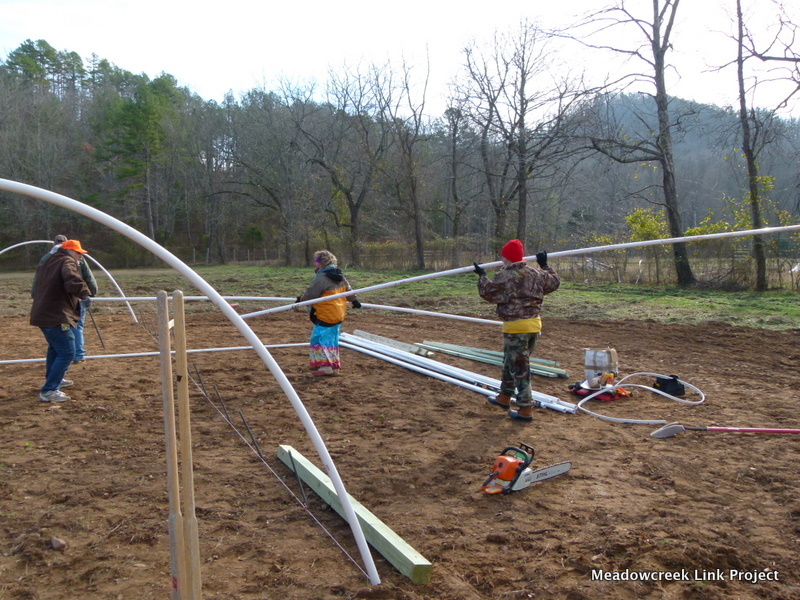 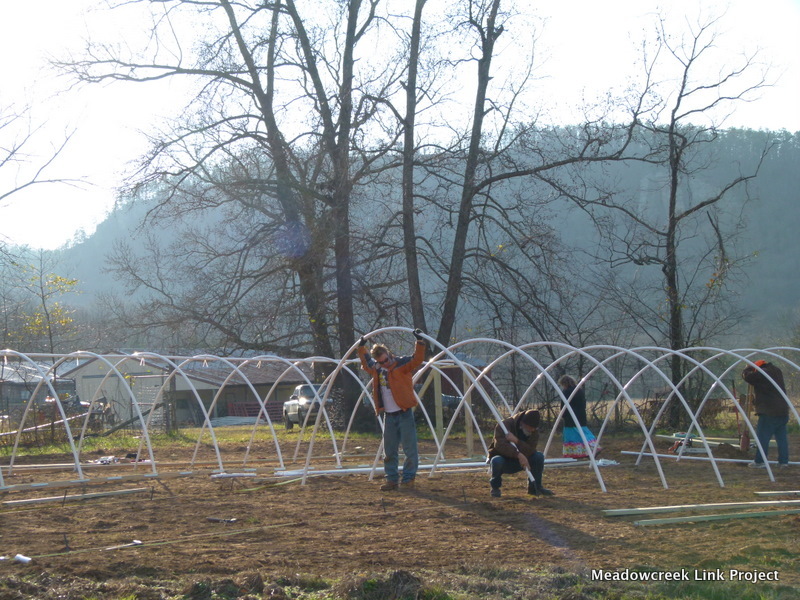 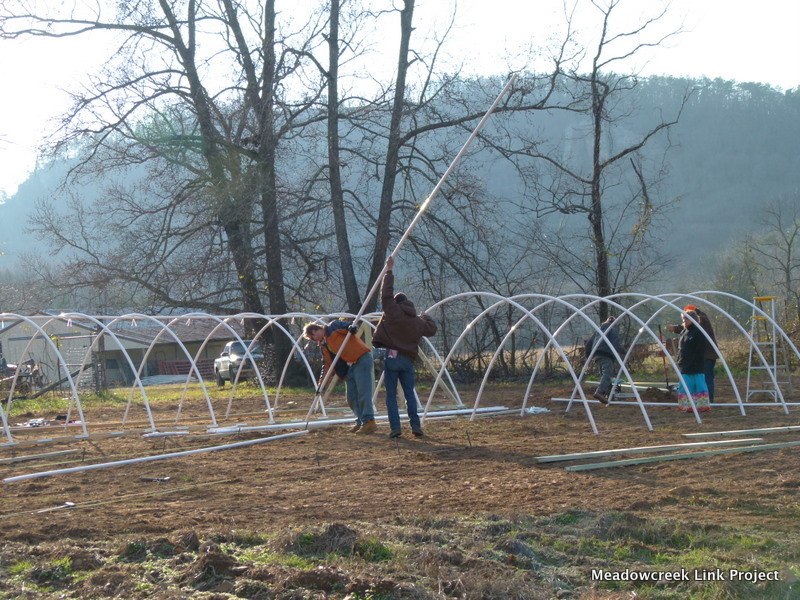 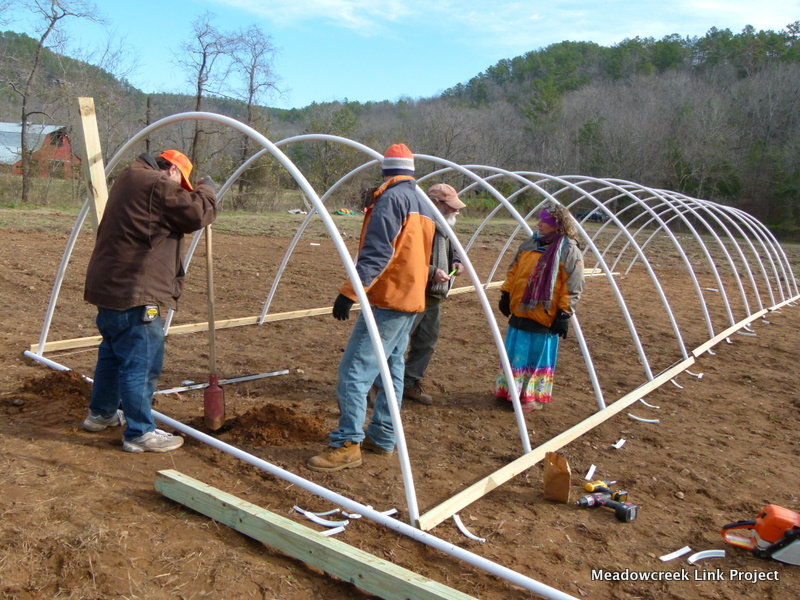 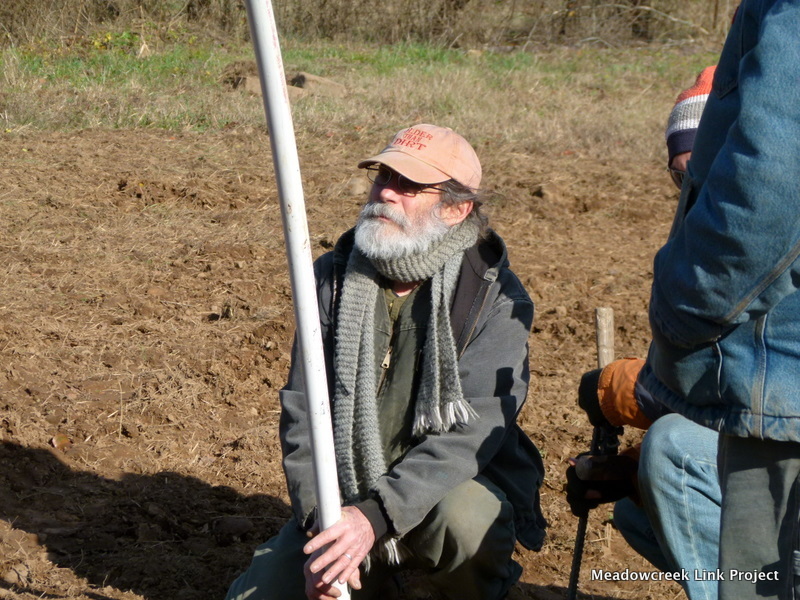 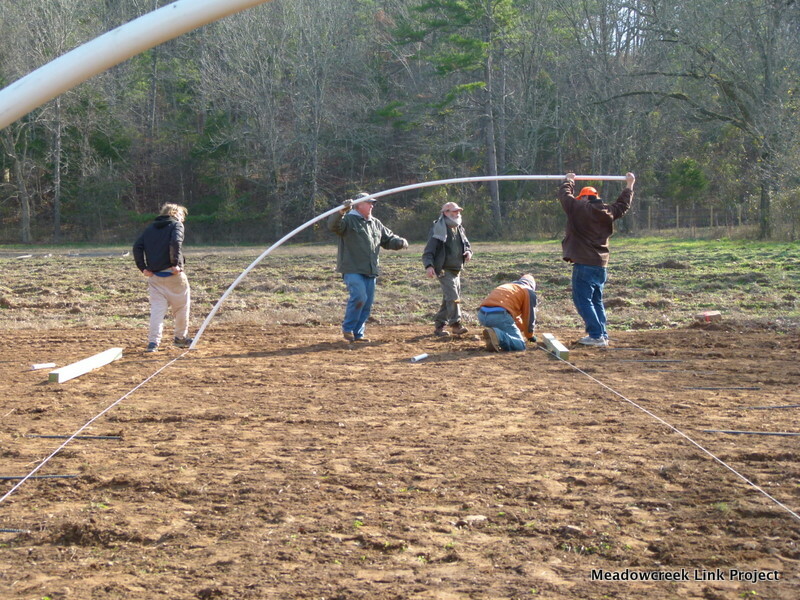 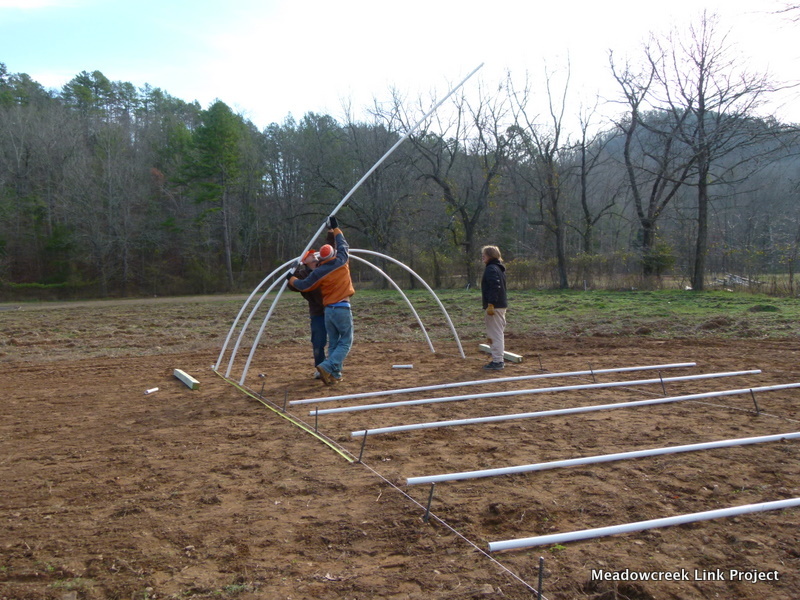 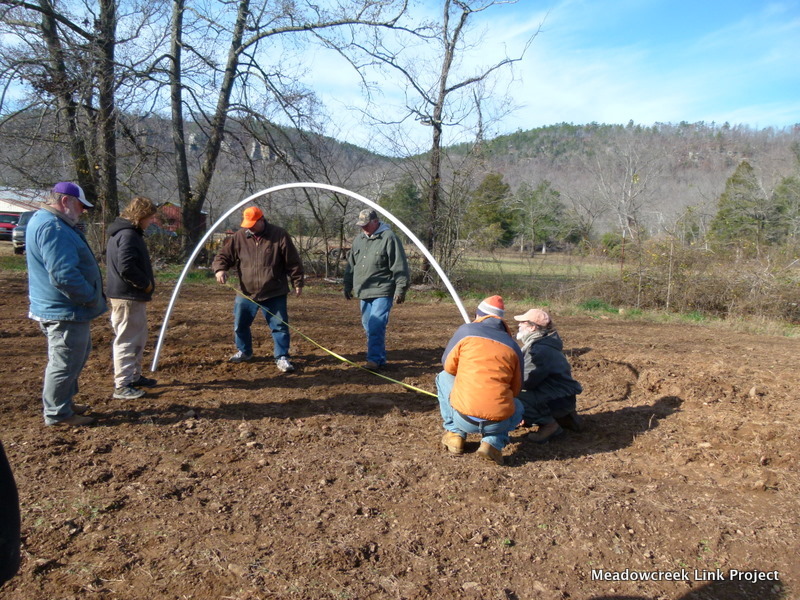 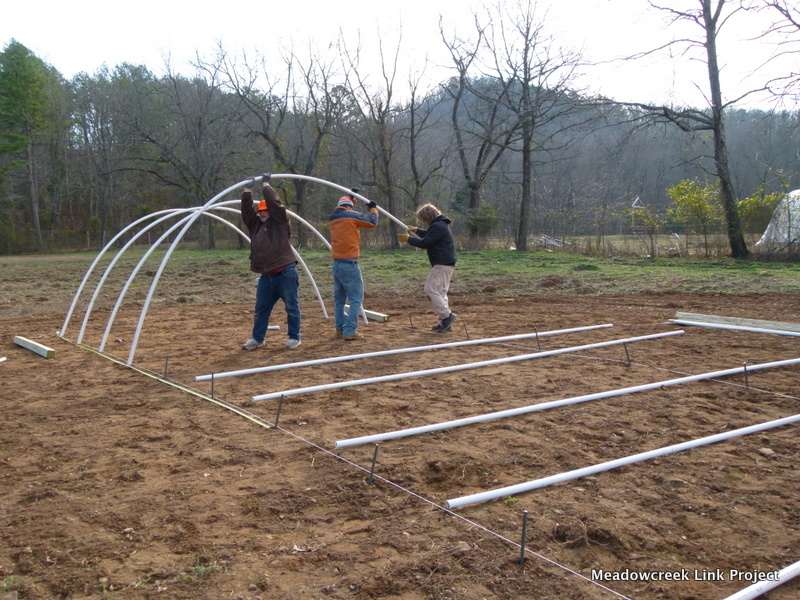 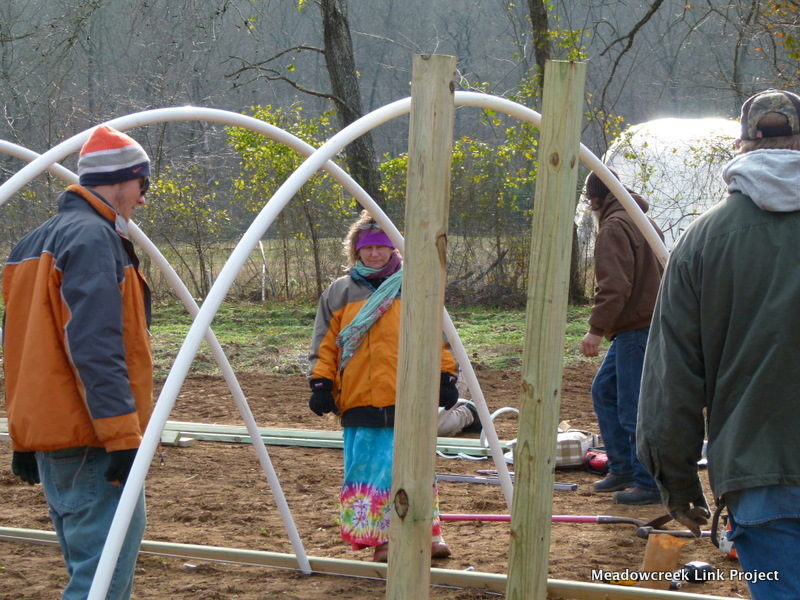 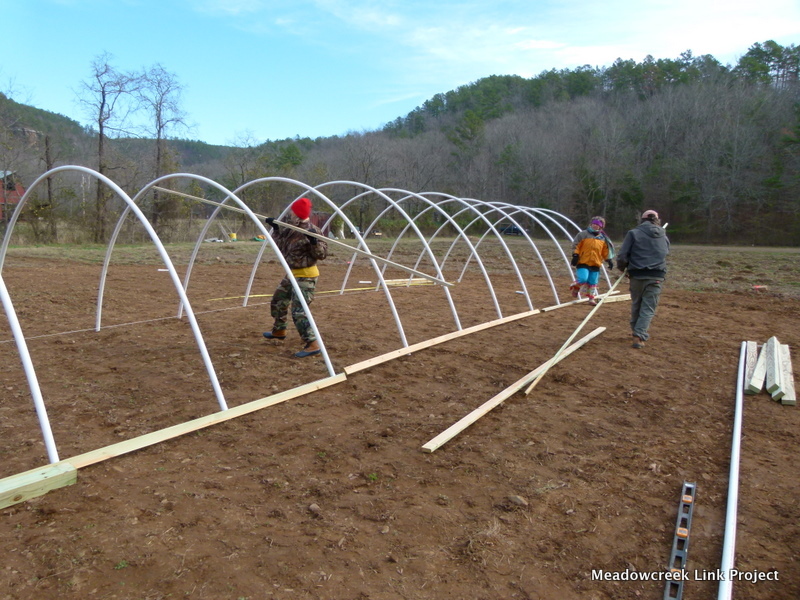 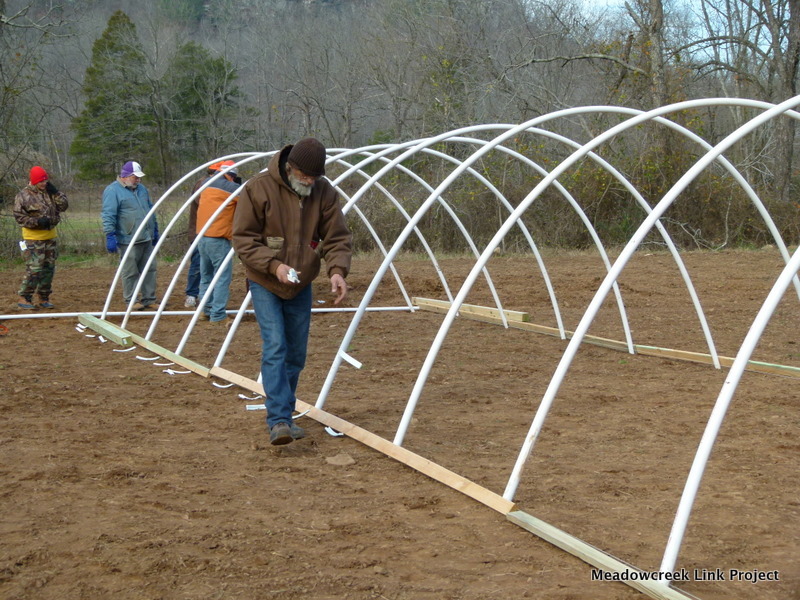 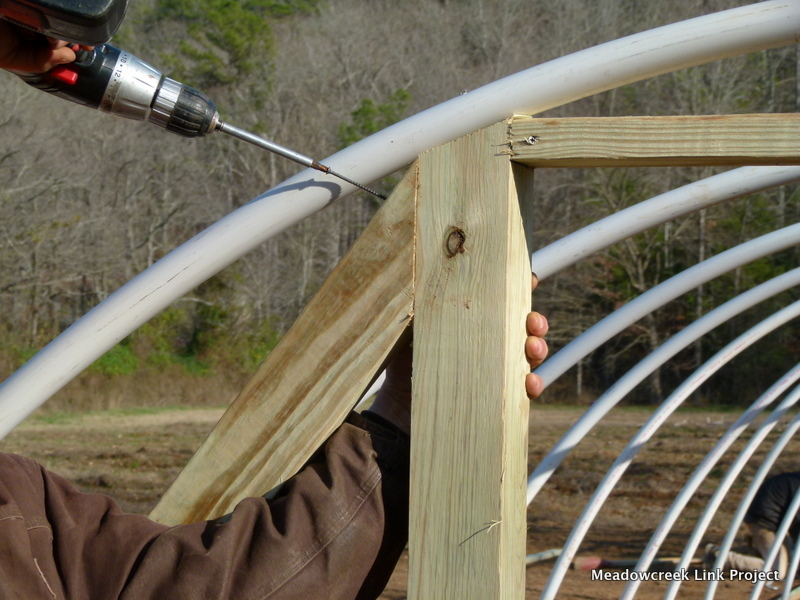 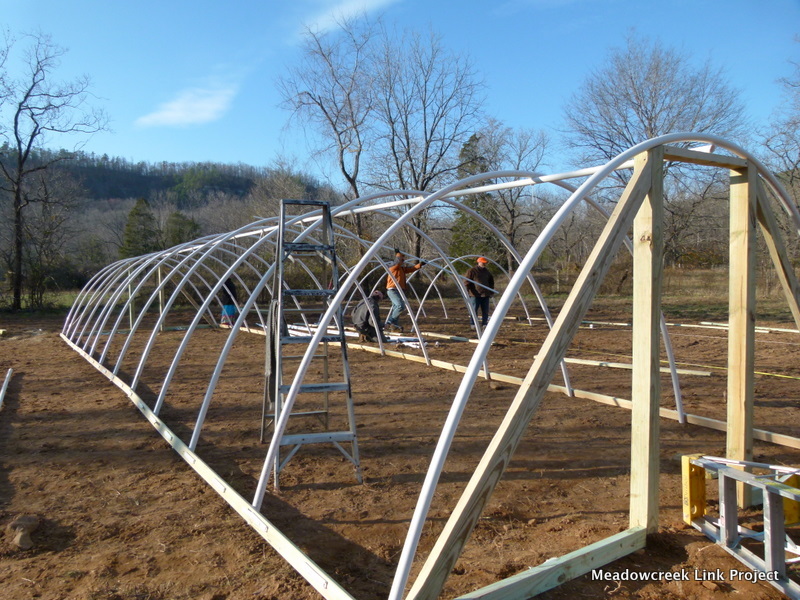 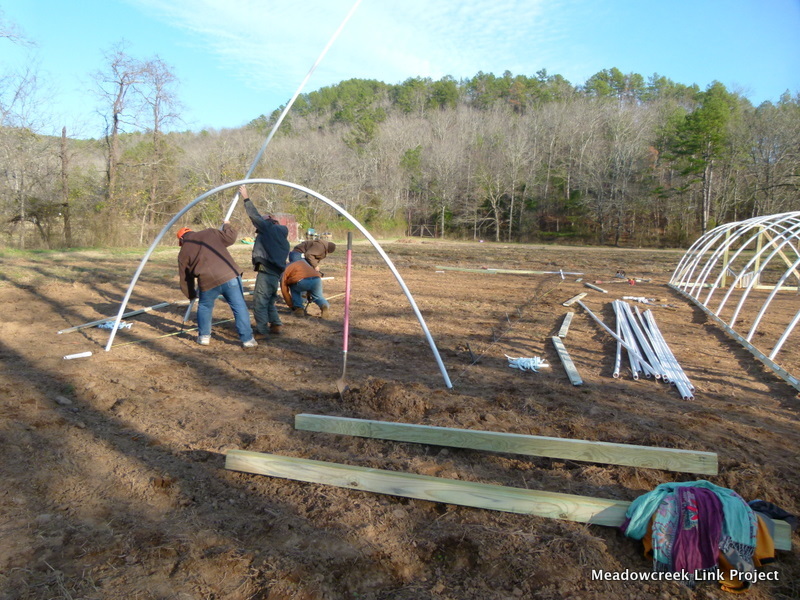 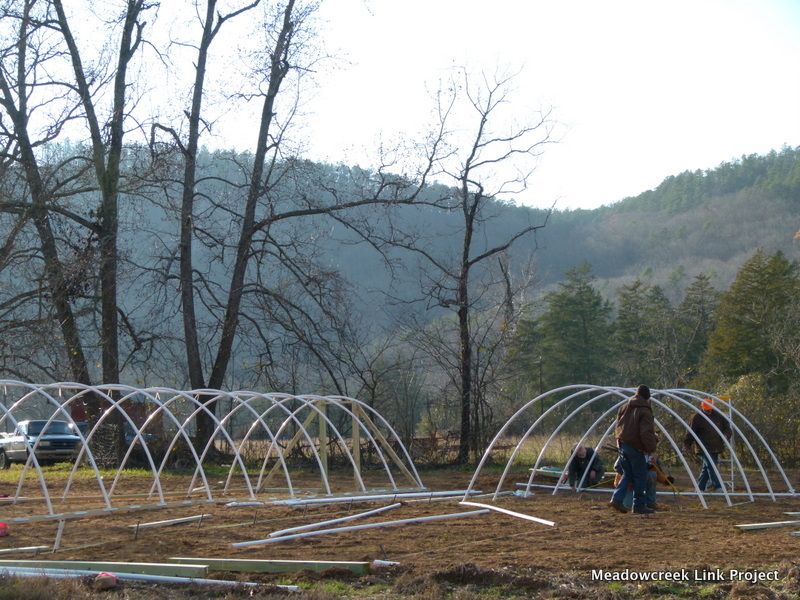 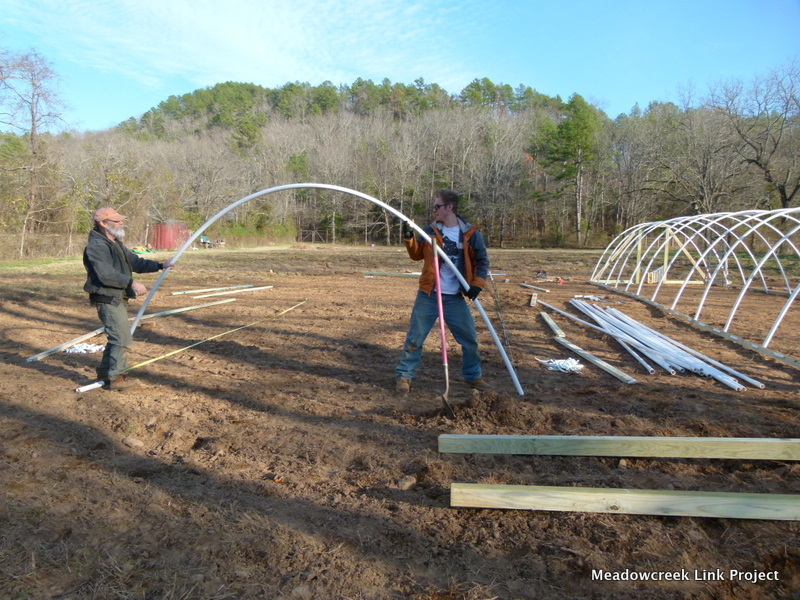 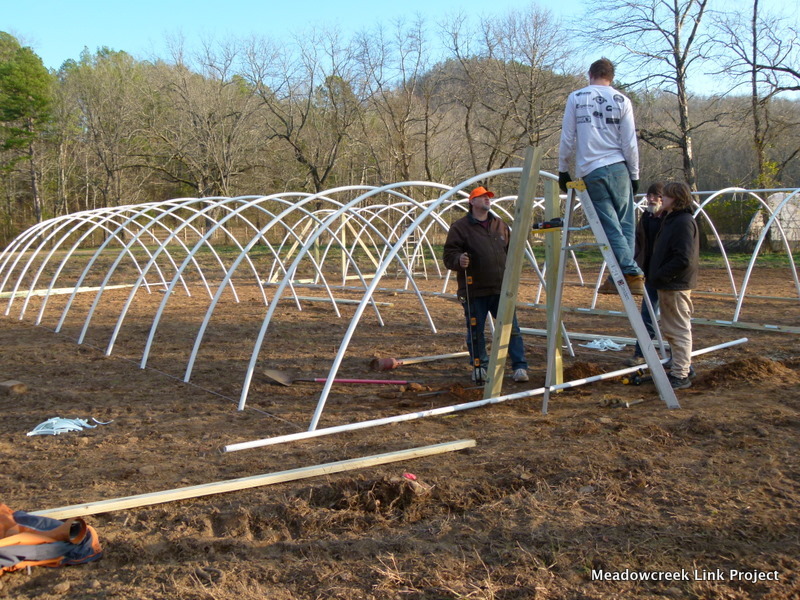 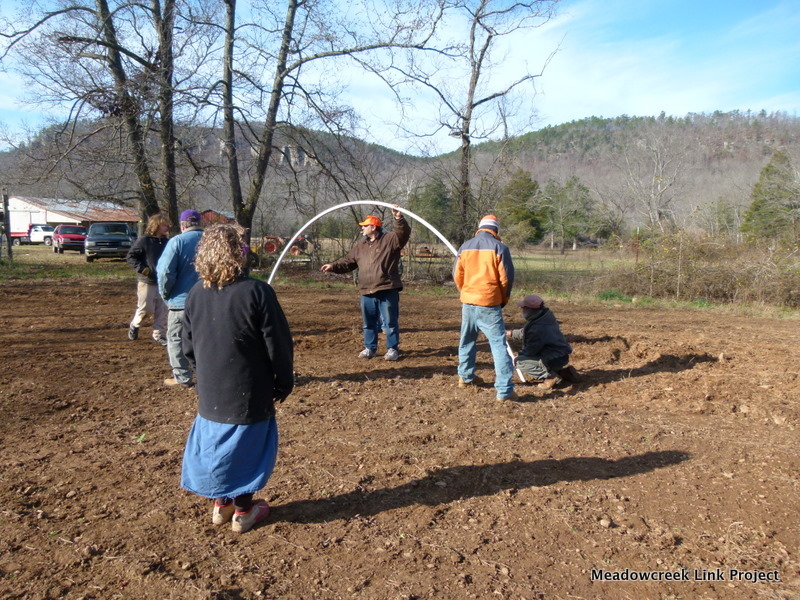 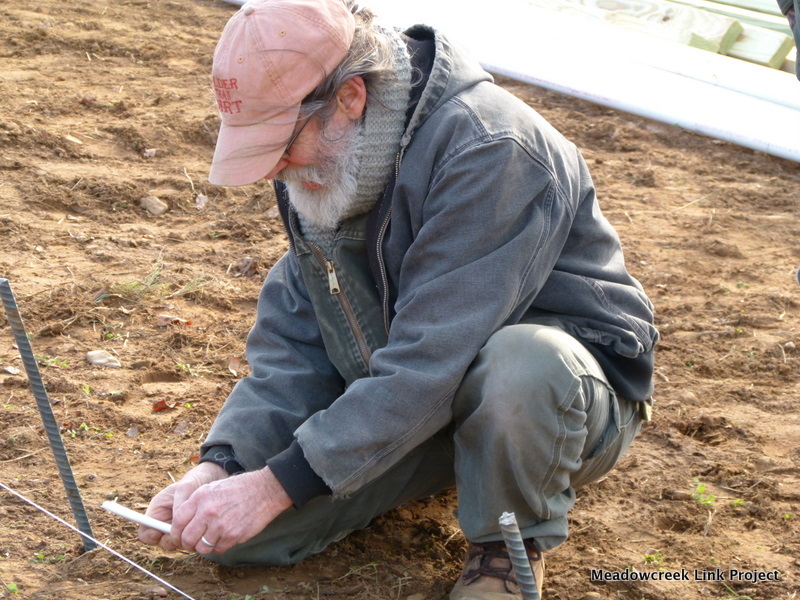 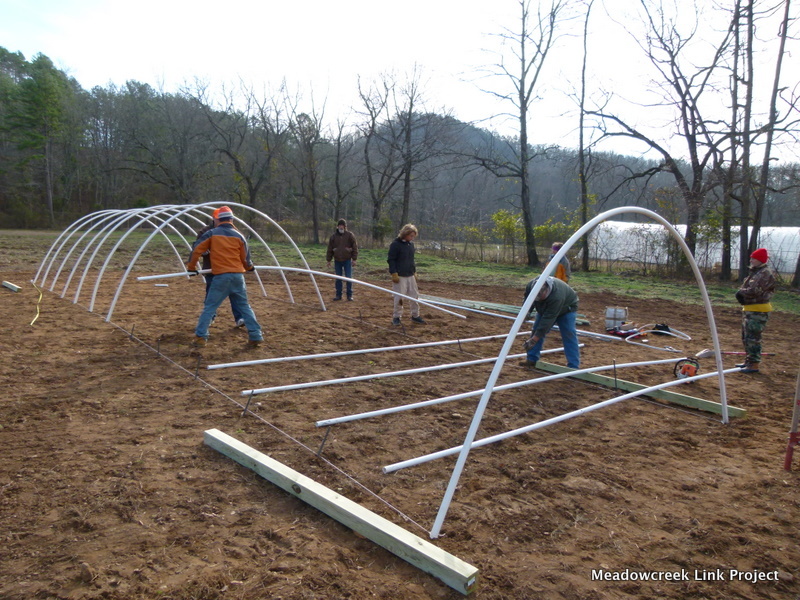 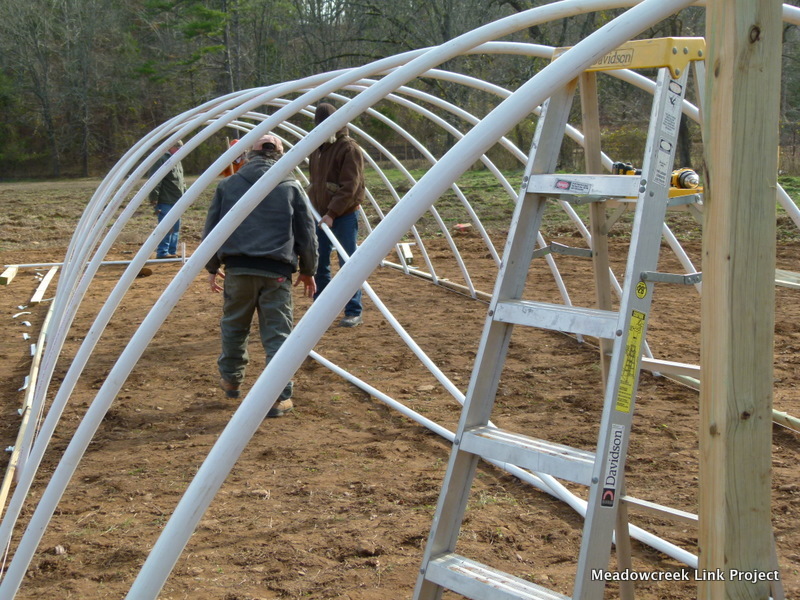 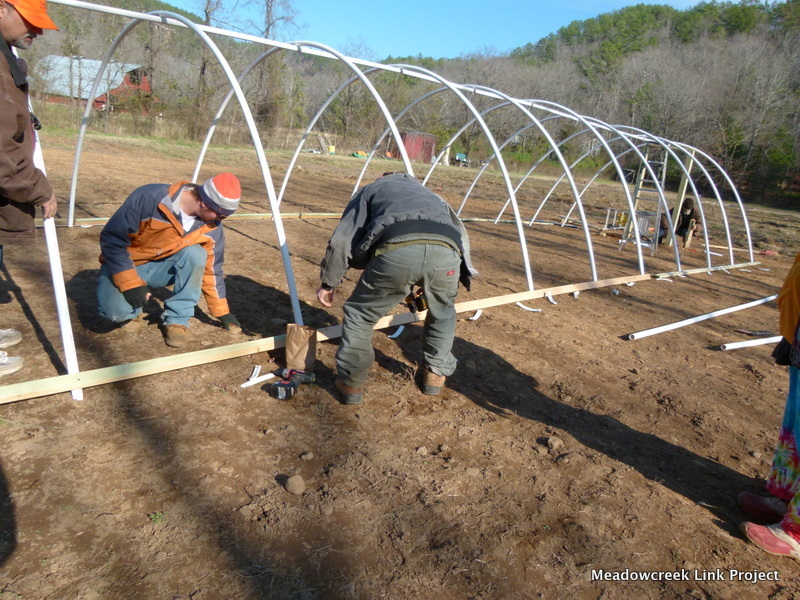 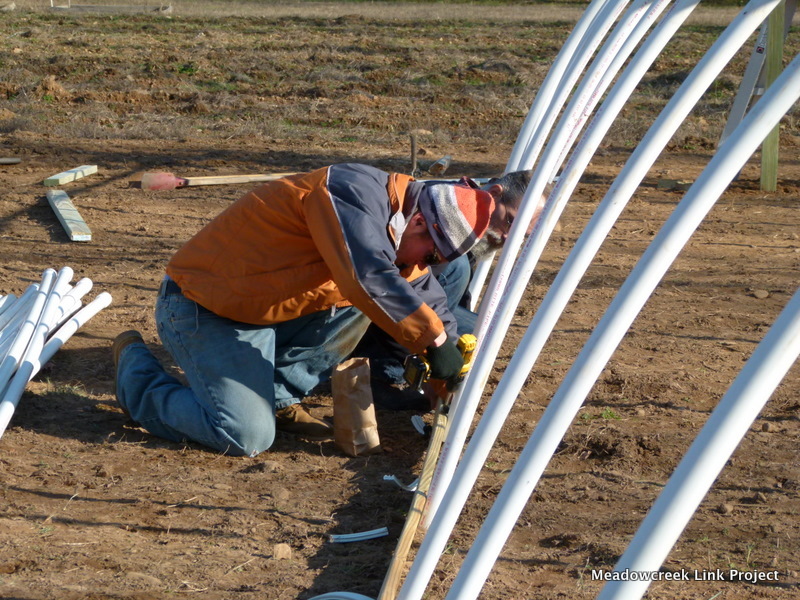 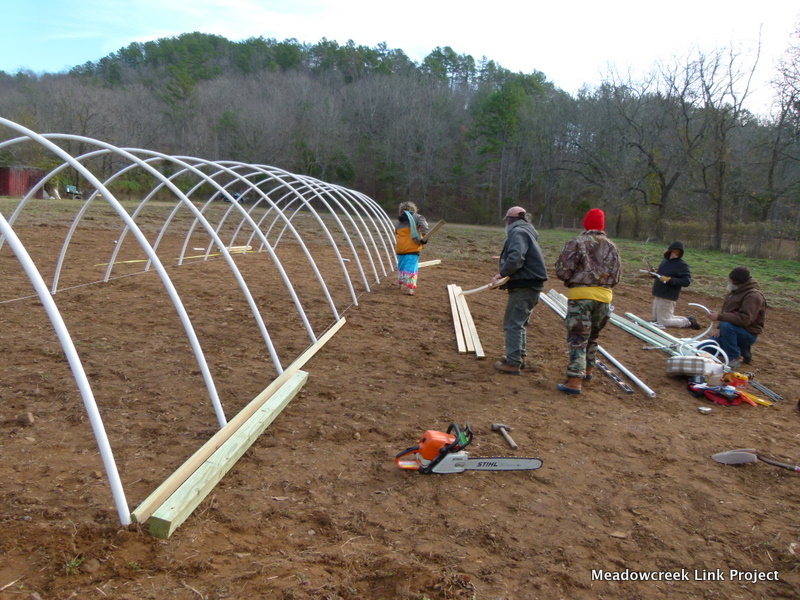 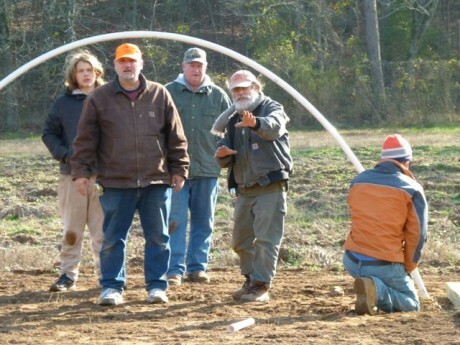 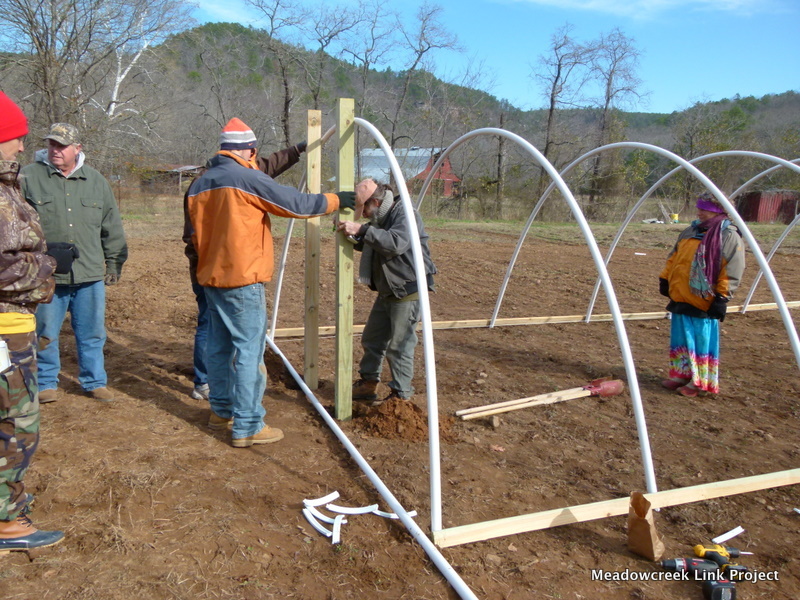 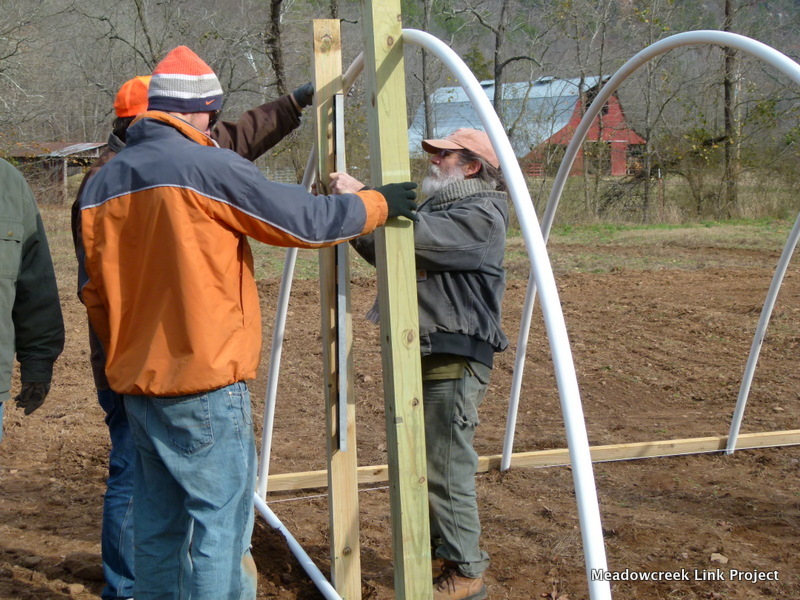 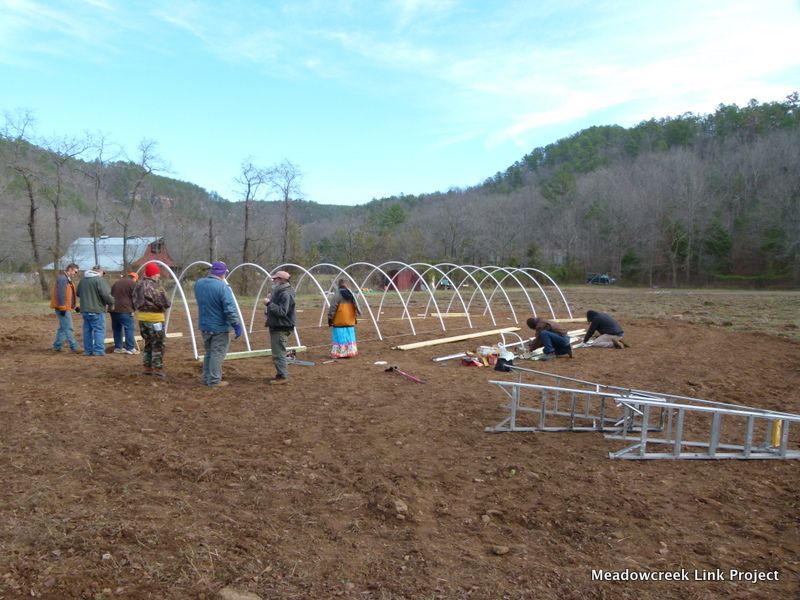 They erected a small hoop house that now produces about 50 pounds of fresh greens throughout the winter months. 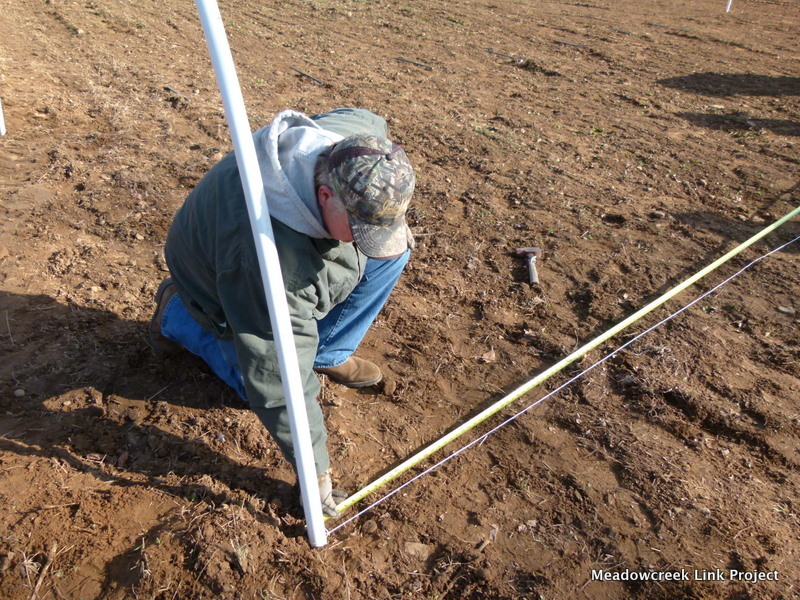 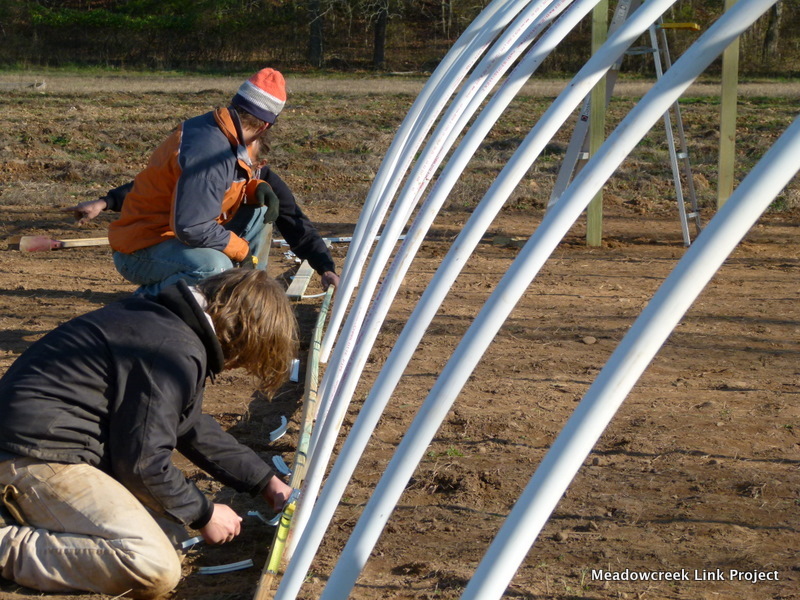 In late 2011, they fenced the entire tier area and built several raised beds to be planted in the spring. 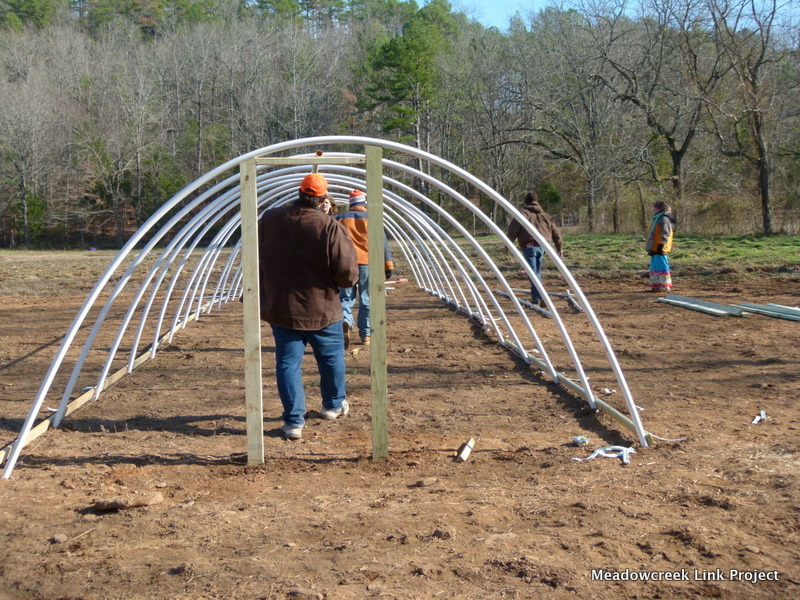 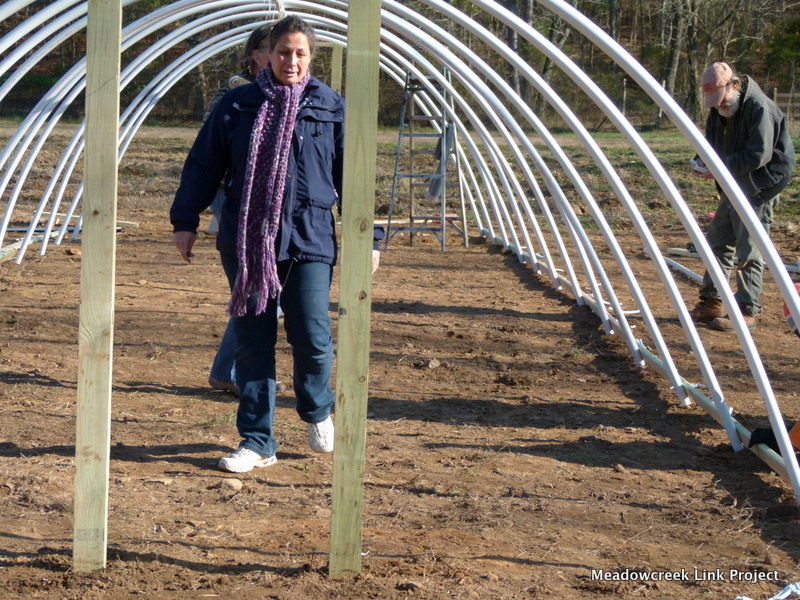 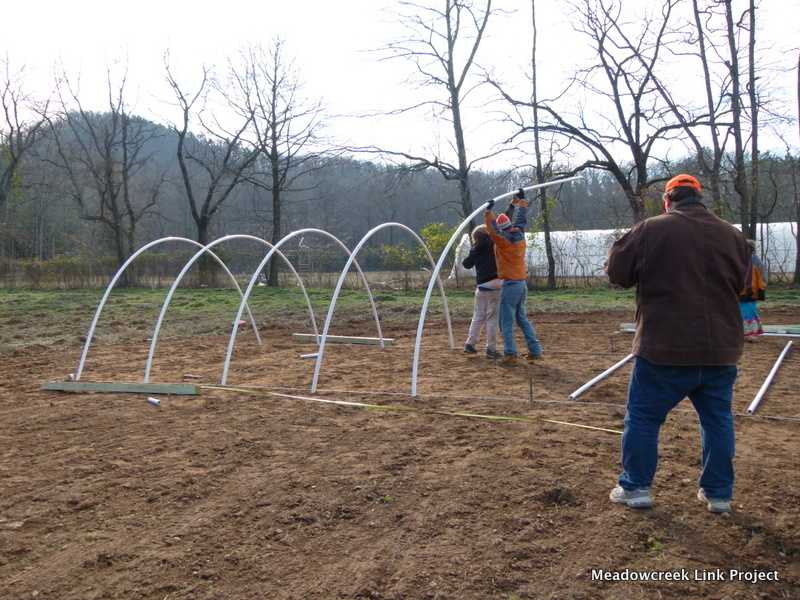 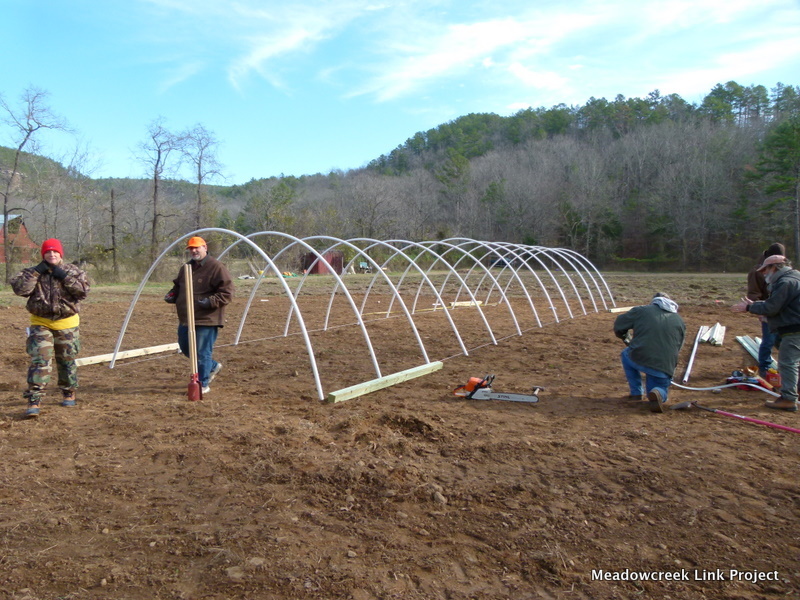 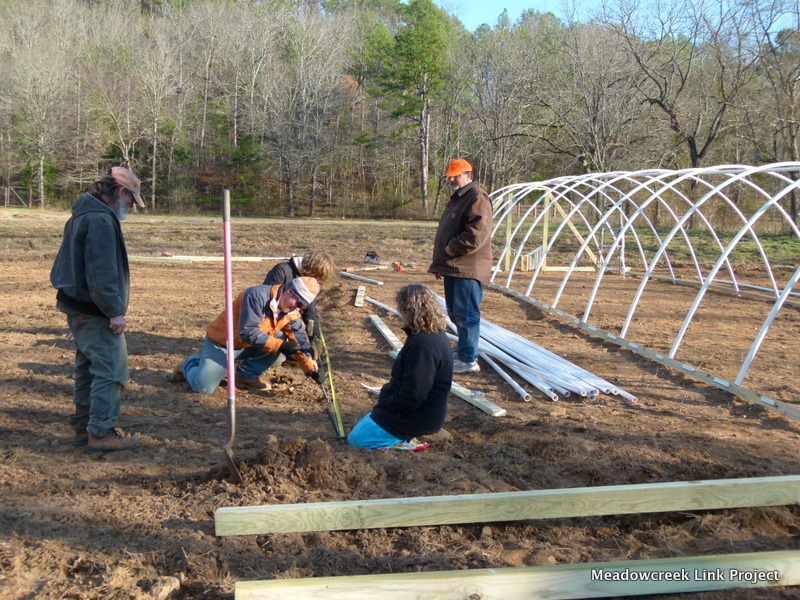 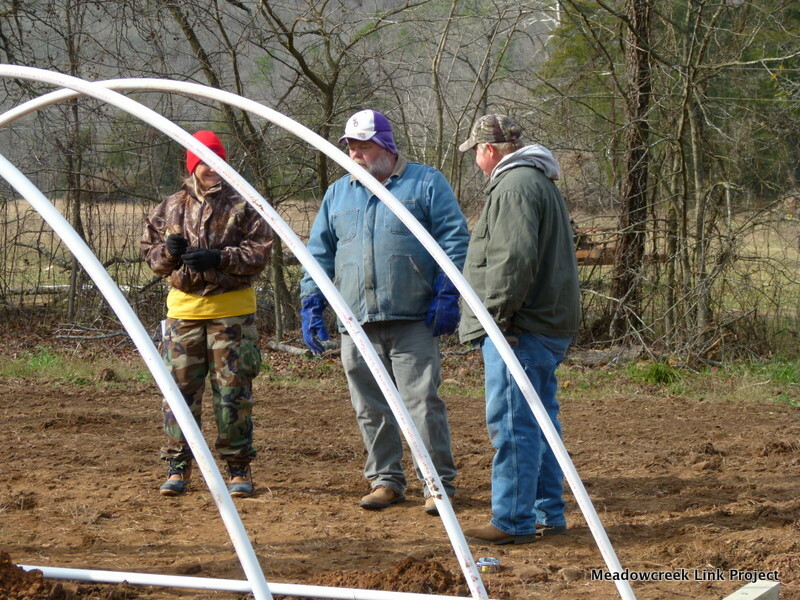 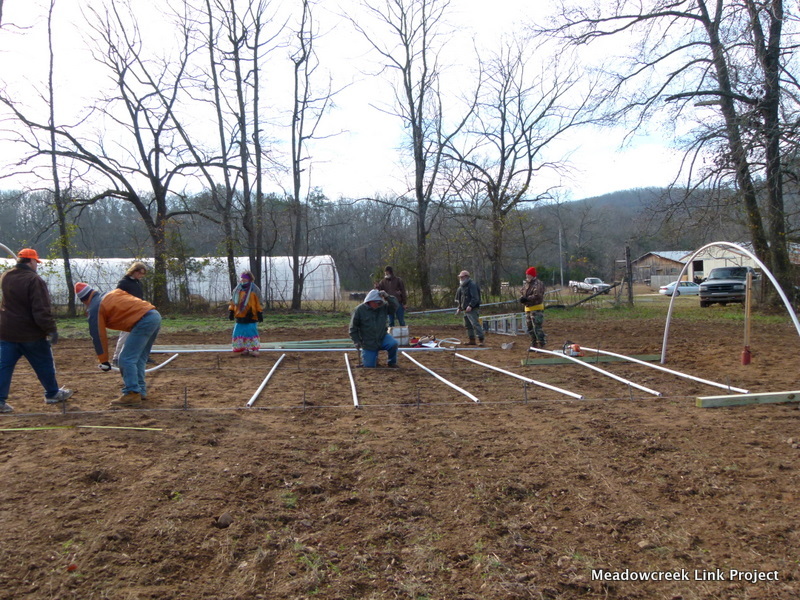 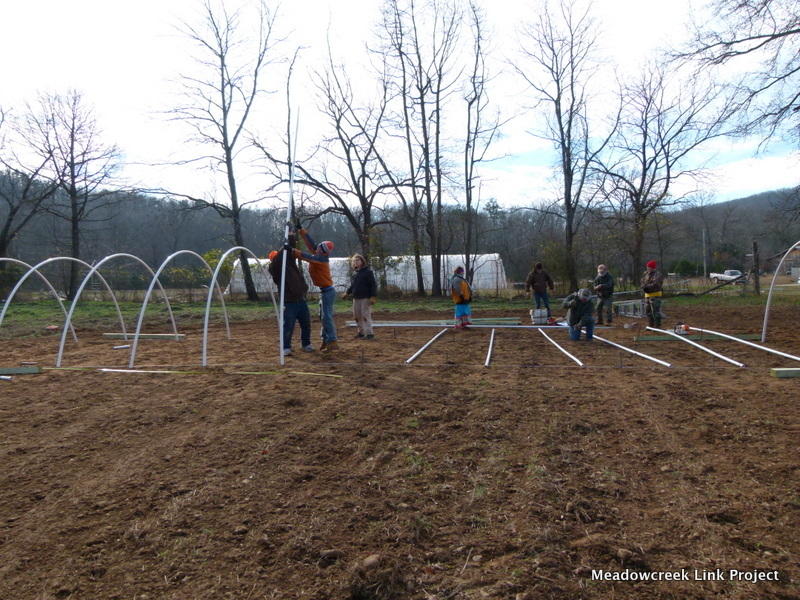 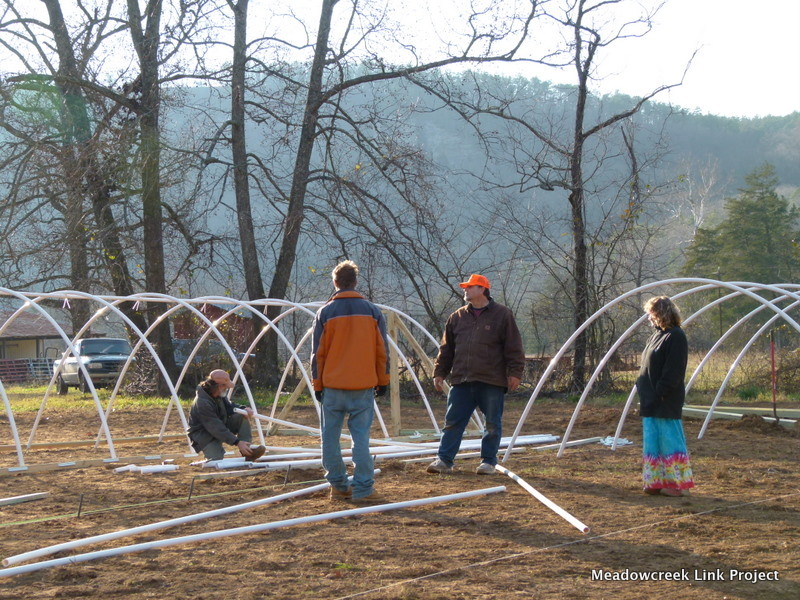 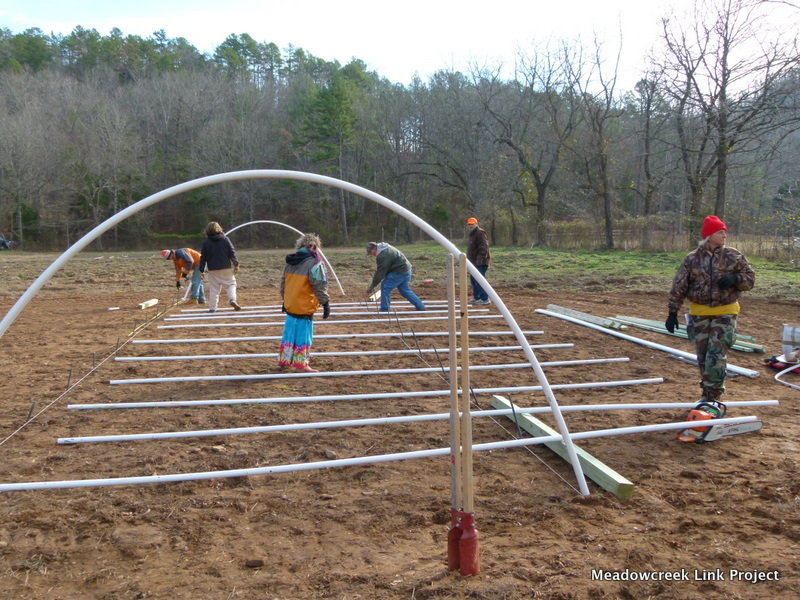 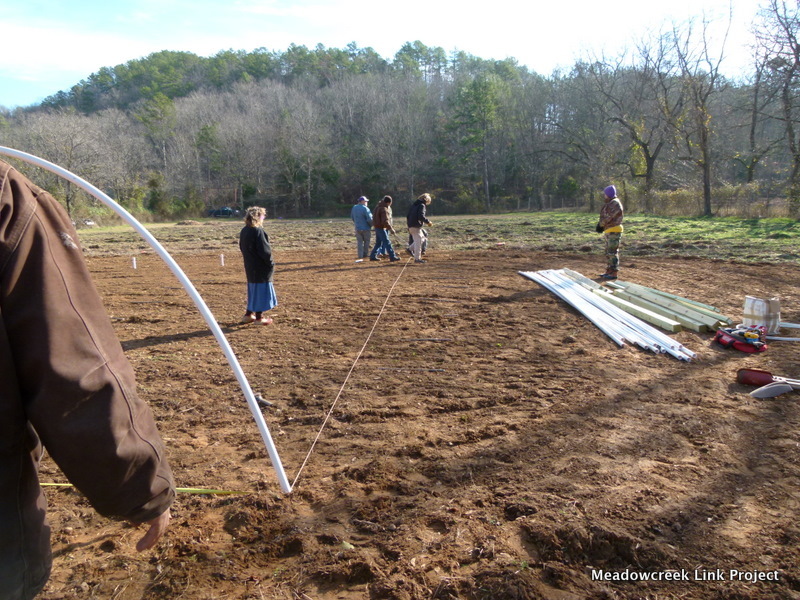 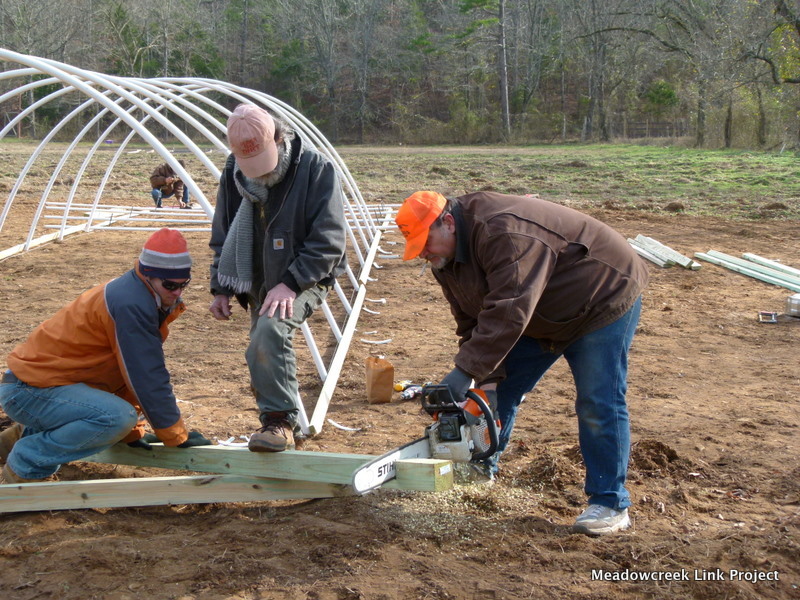 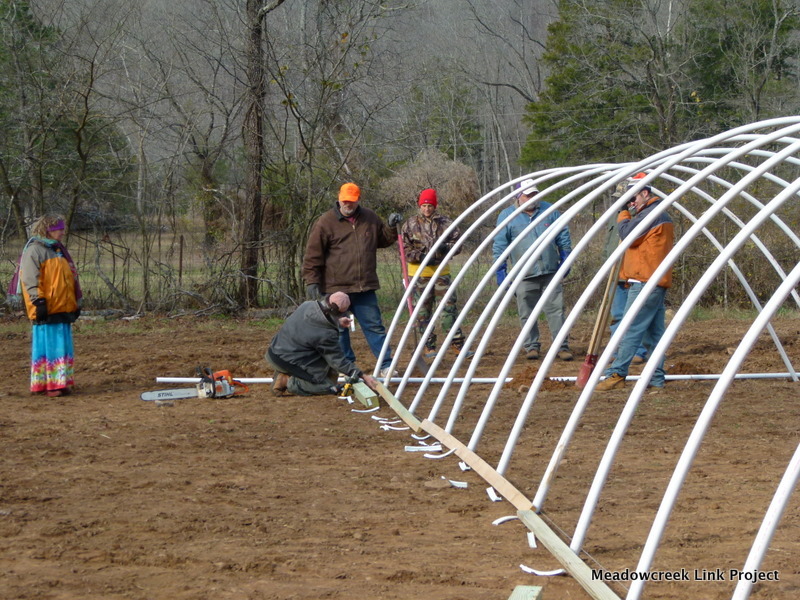 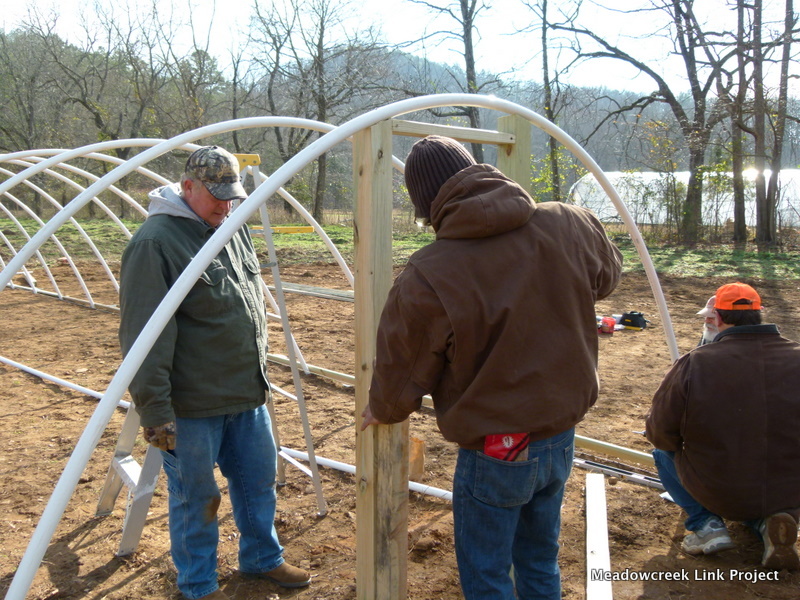 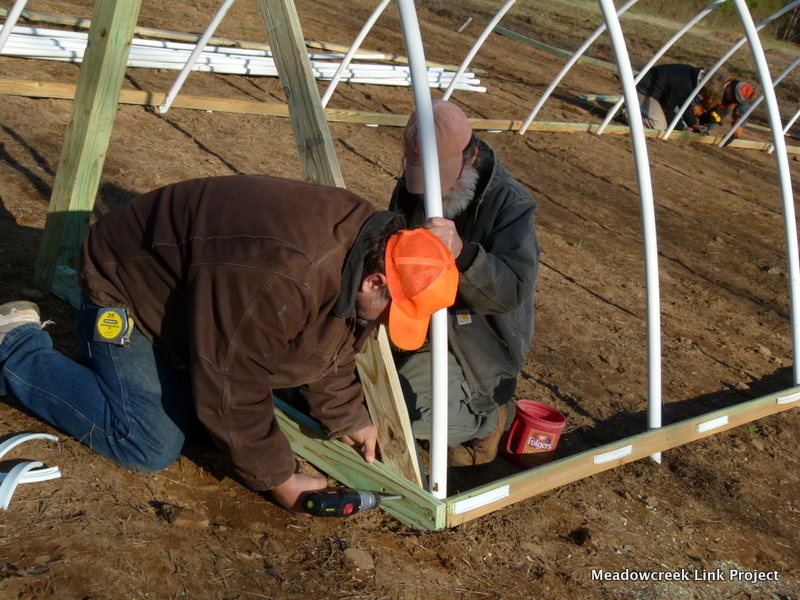 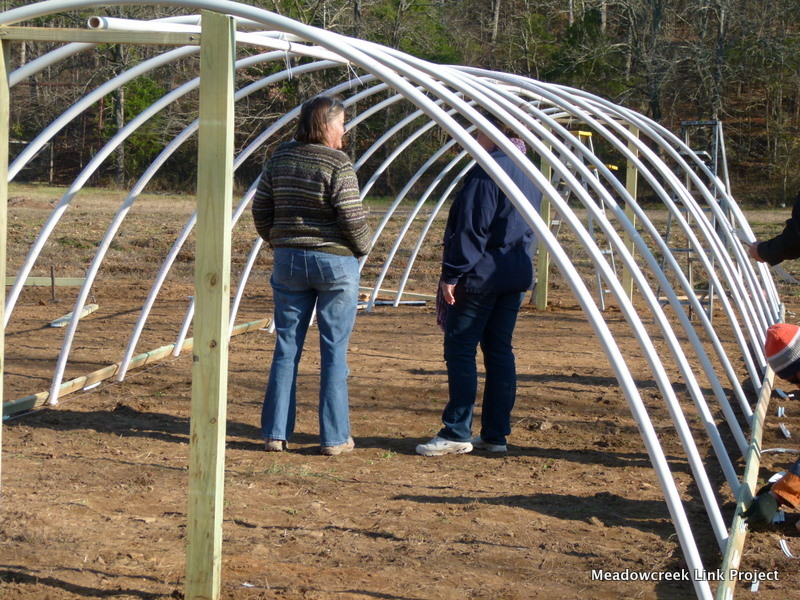 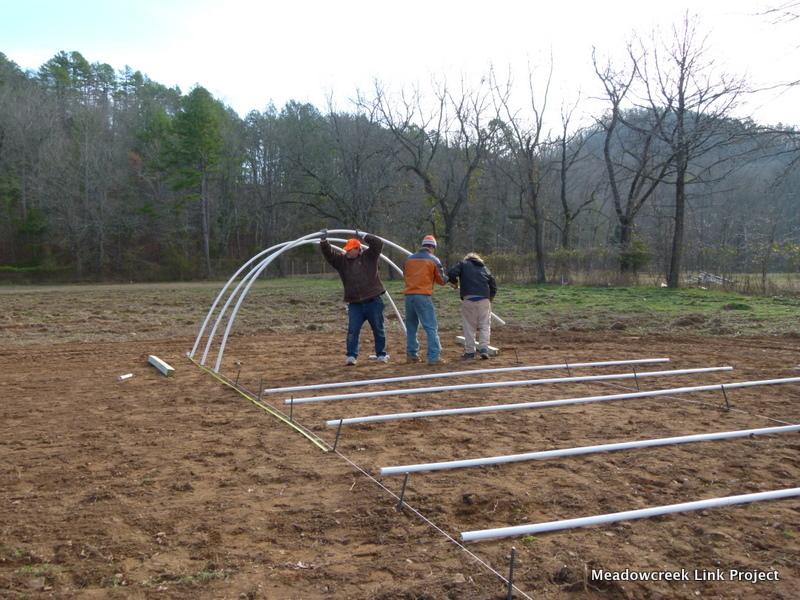 They’re thrilled with their new 12 x 50 foot cold frame in the Meadowcreek garden. 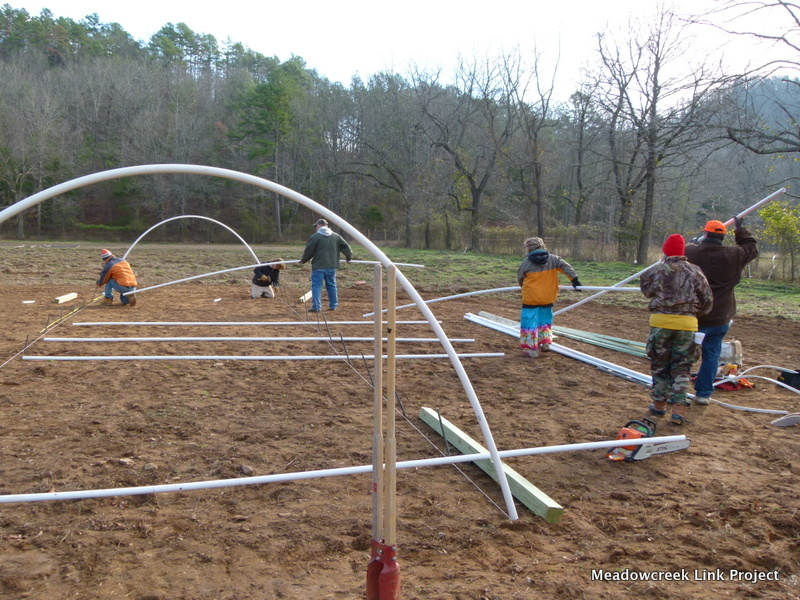 This will finally allow them to harvest enough produce to participate in the farmers market as well as create a CSA in the not-so-distant future. 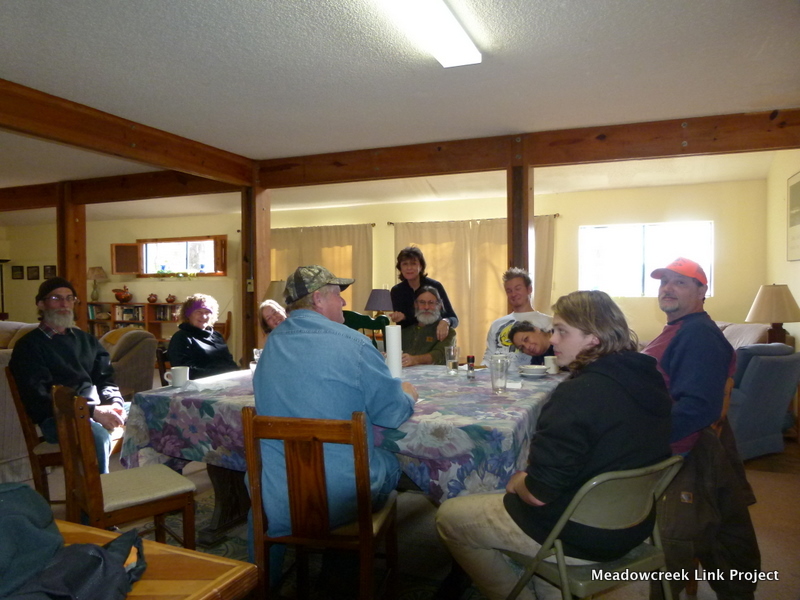 The Hermansens, who are raising pigs and assisting neighbor, Suzanne Day, with her sheep, are now able to add organic pork and lamb to their freezers. 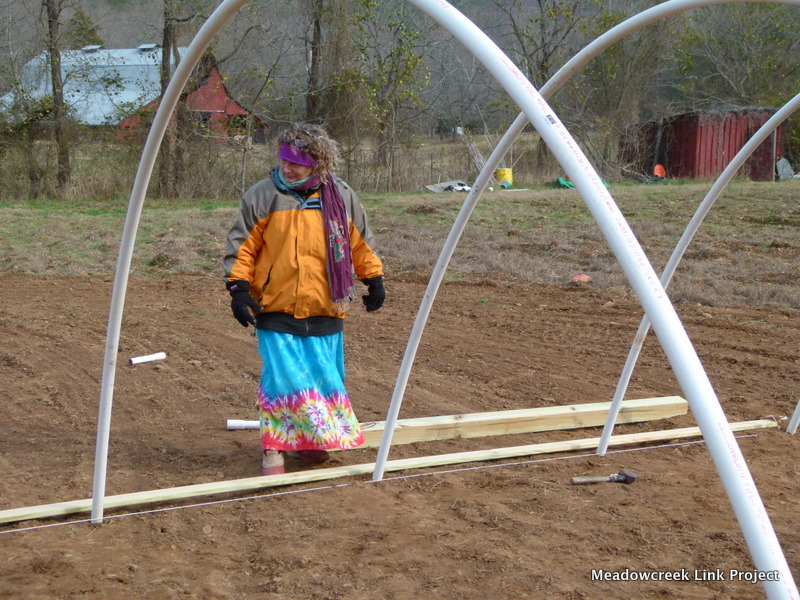 They’ve also begun growing Shitake mushrooms (on logs) and Oyster mushrooms (in laundry baskets in their root cellar), which, they say, is quickly showing them how easy it is. 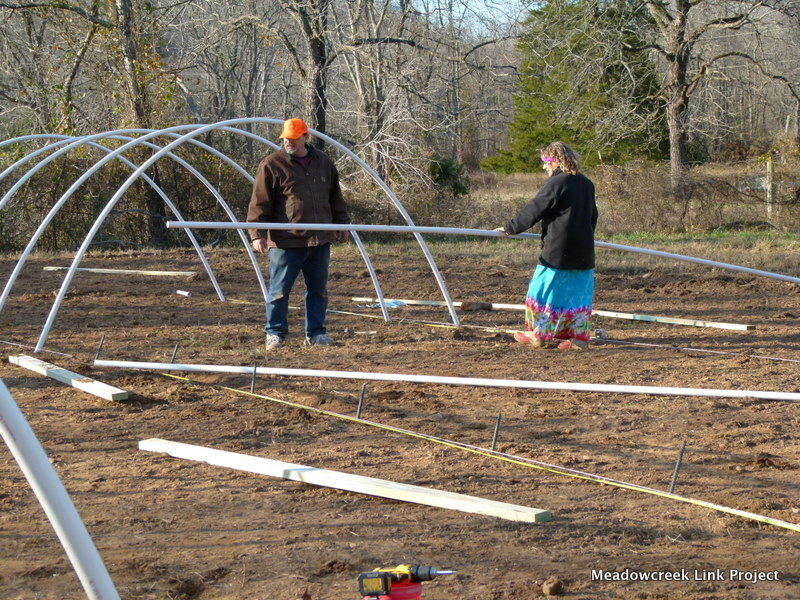 The Hermansens report they’re continually learning new gardening techniques through trial and error and are working very hard to develop more efficiency. 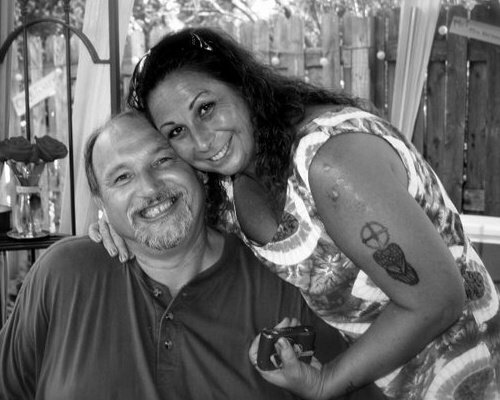 They feel they’re living the life of their dreams. 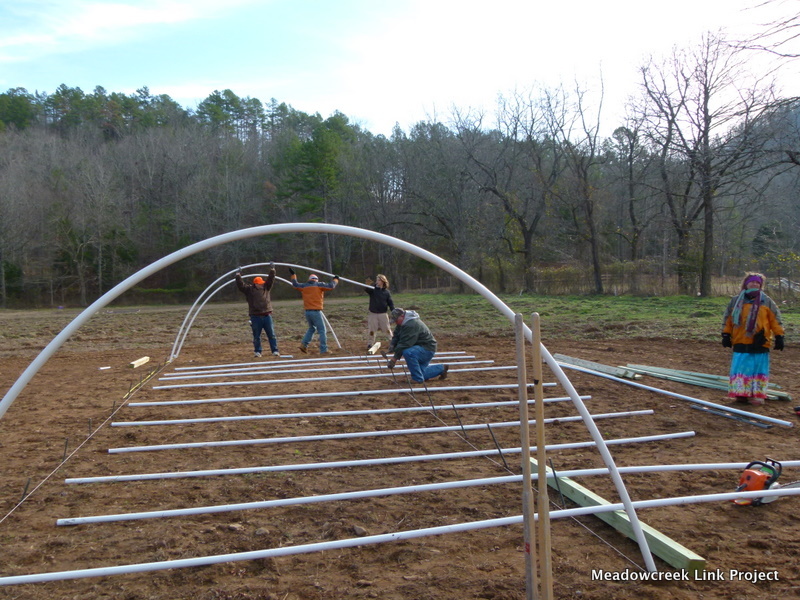 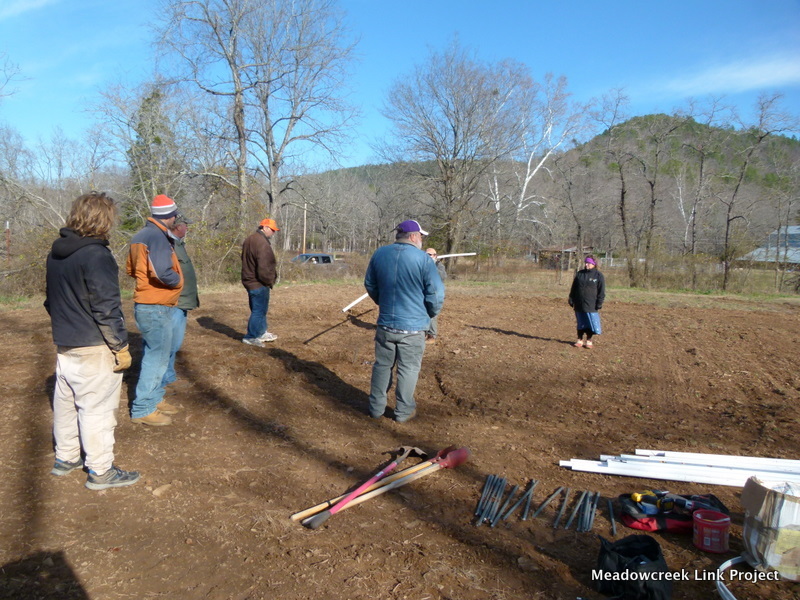 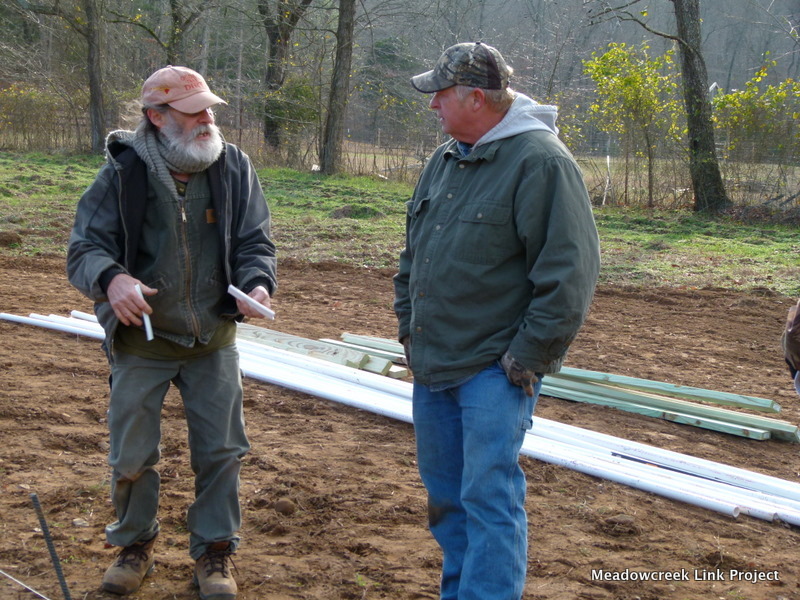 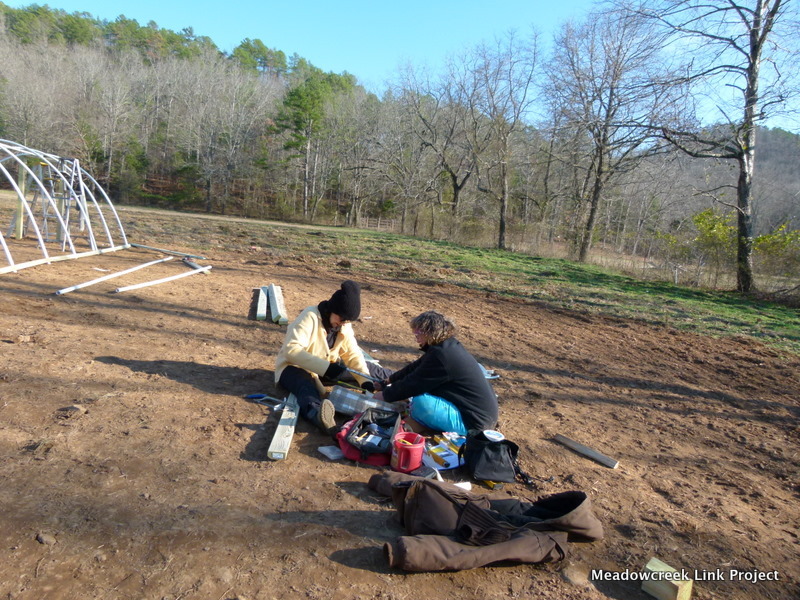 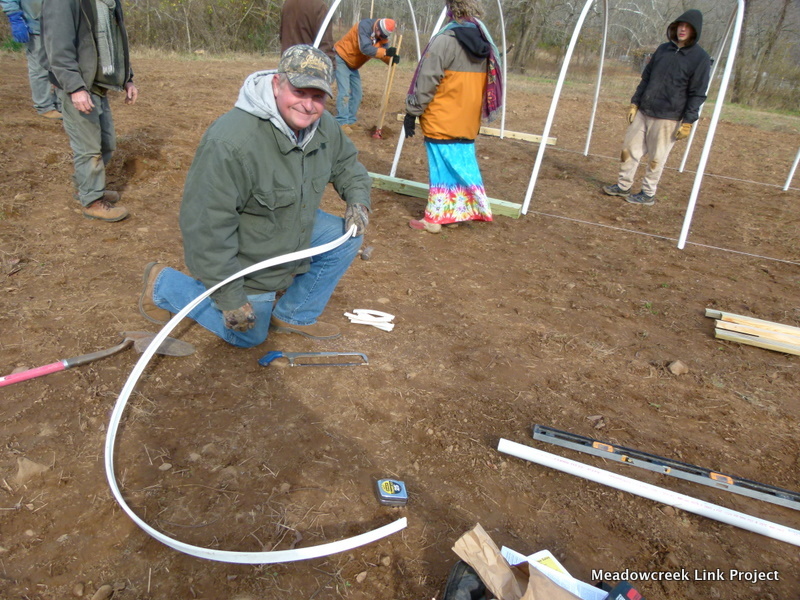 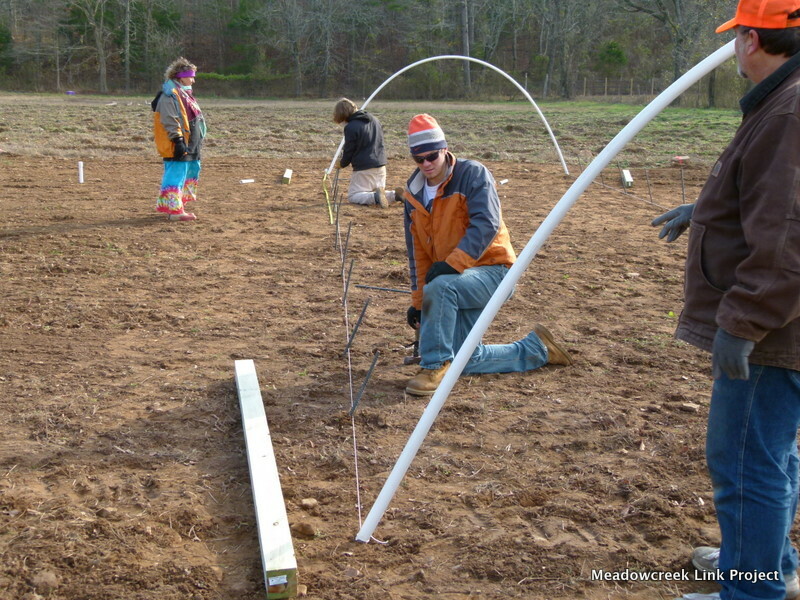 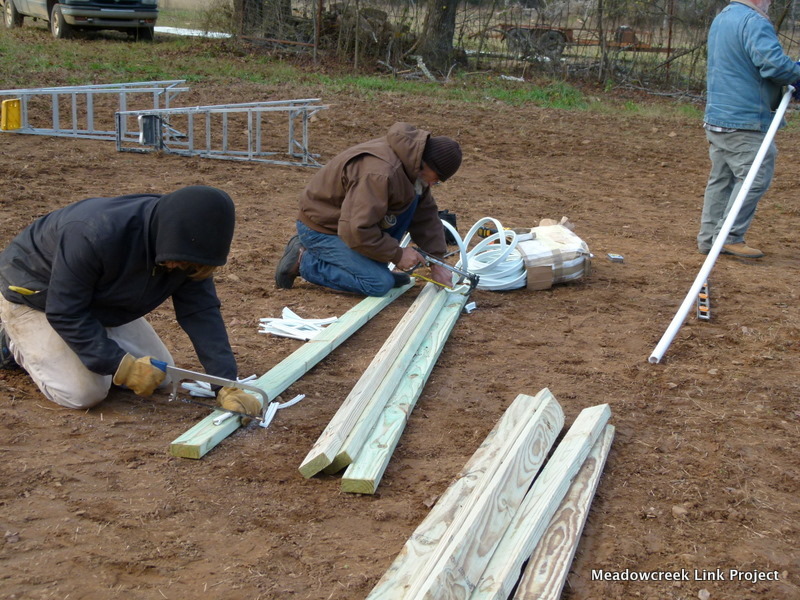 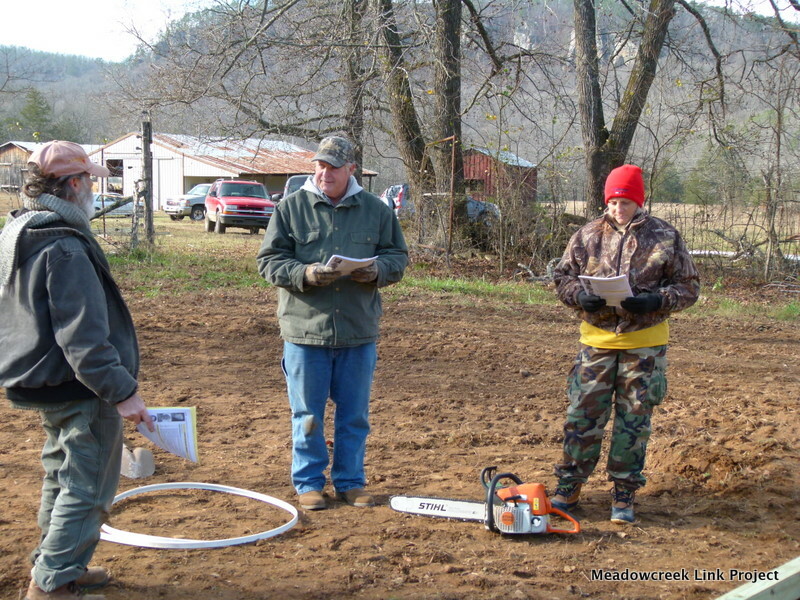 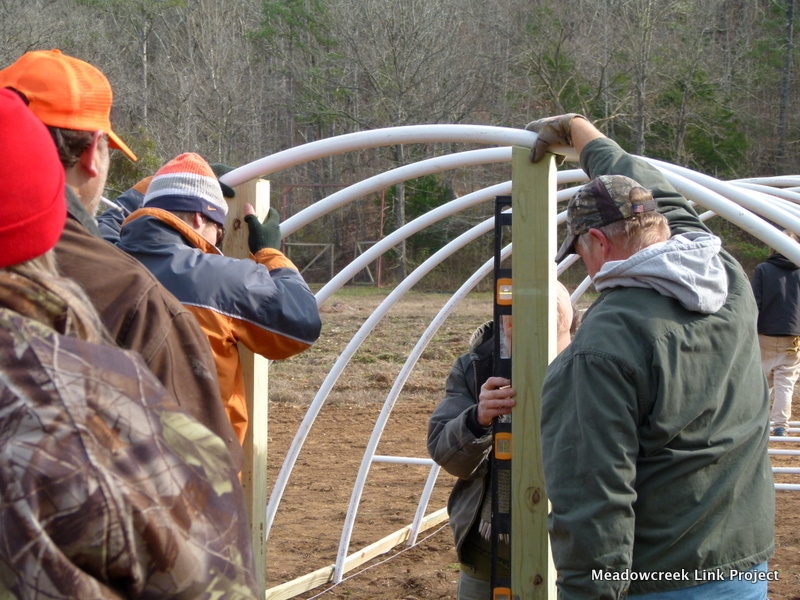 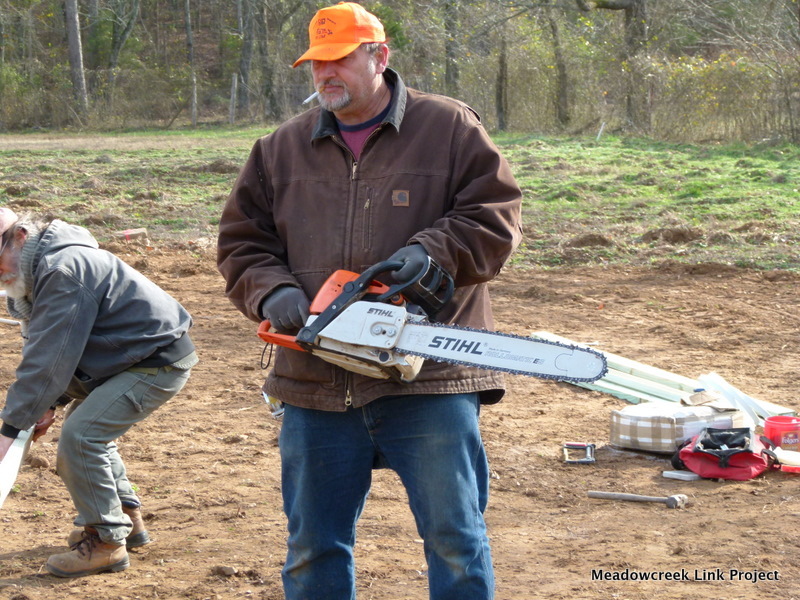 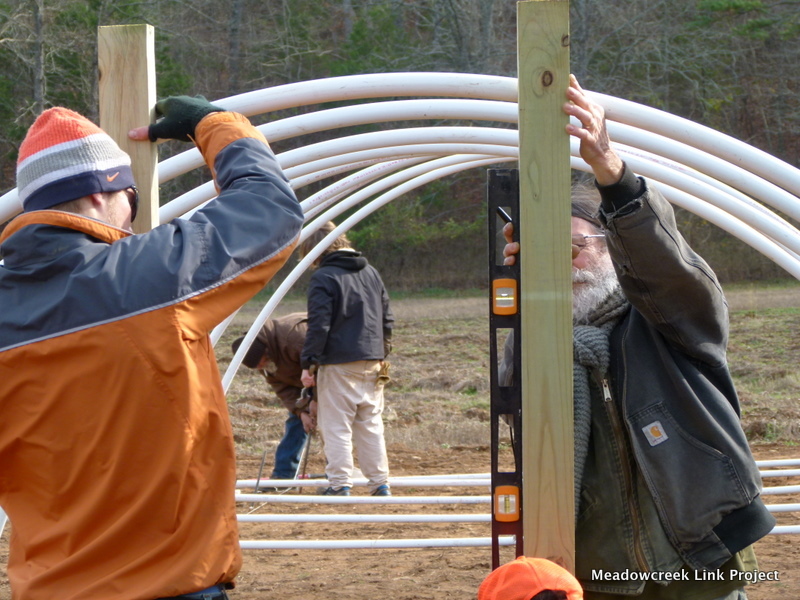 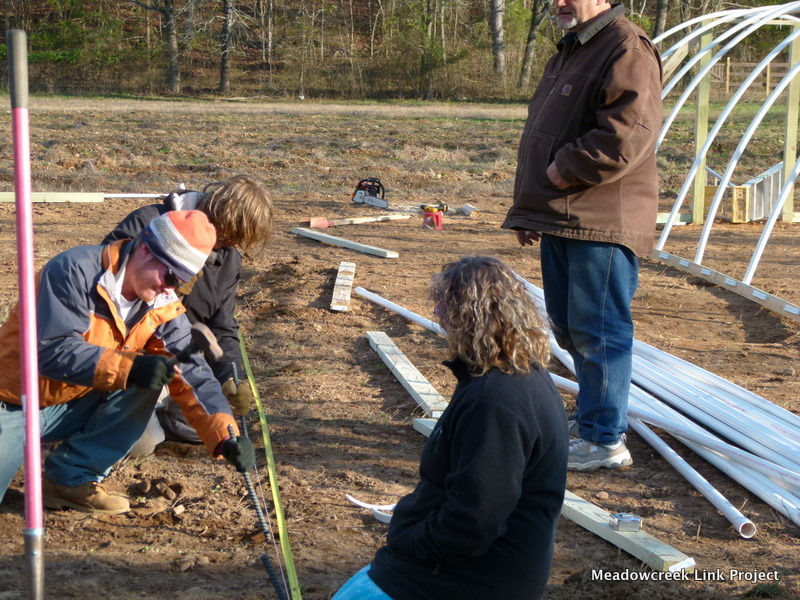 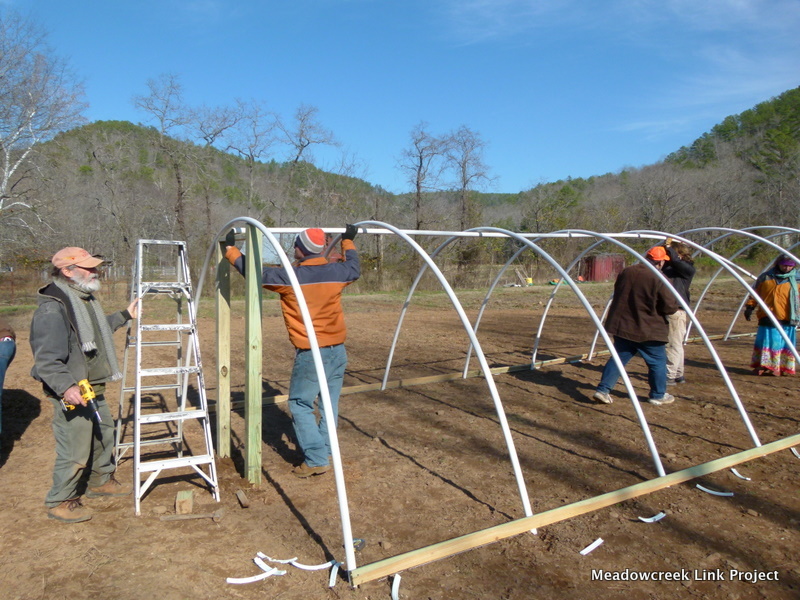 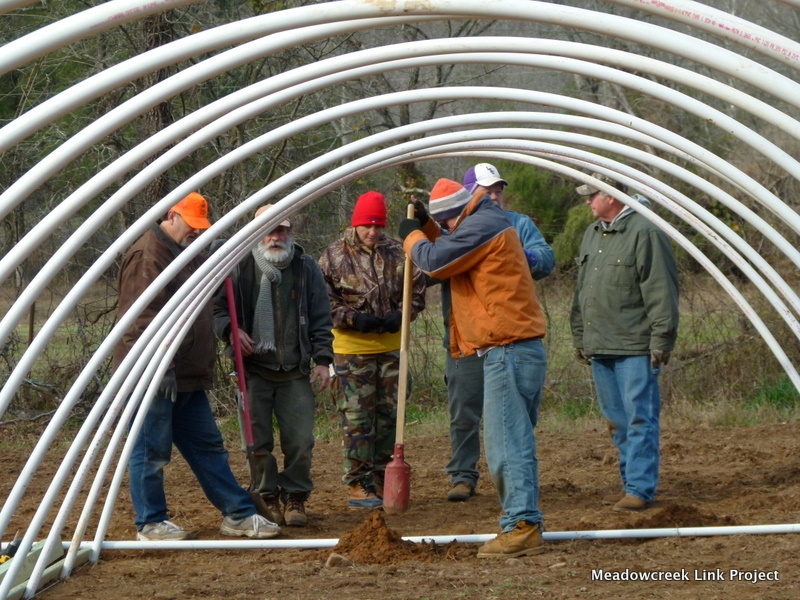 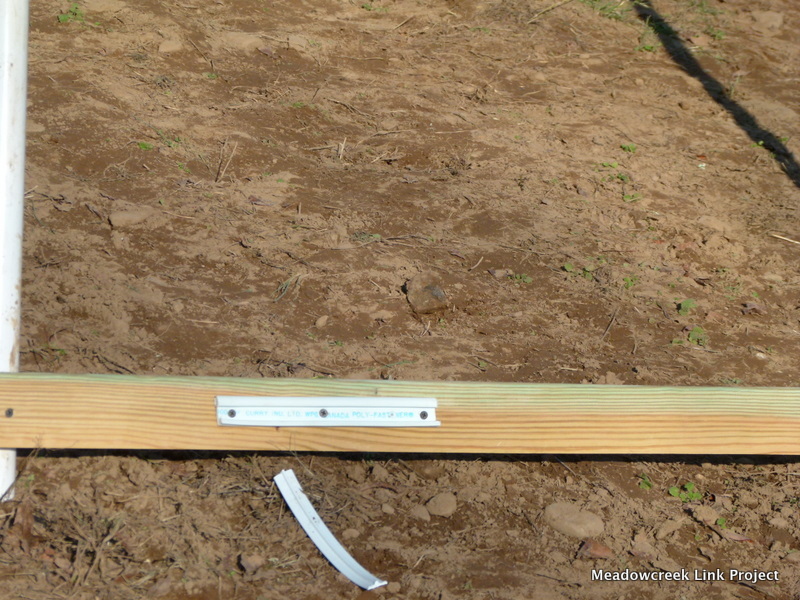 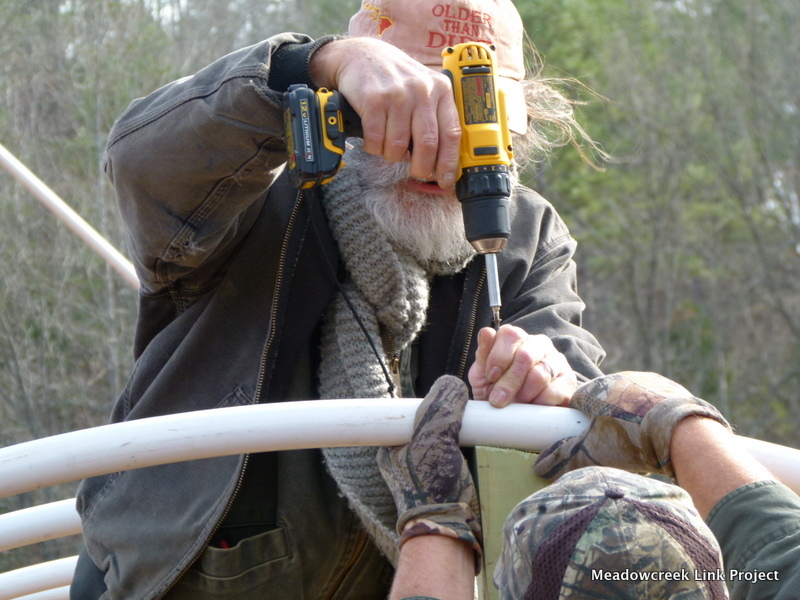 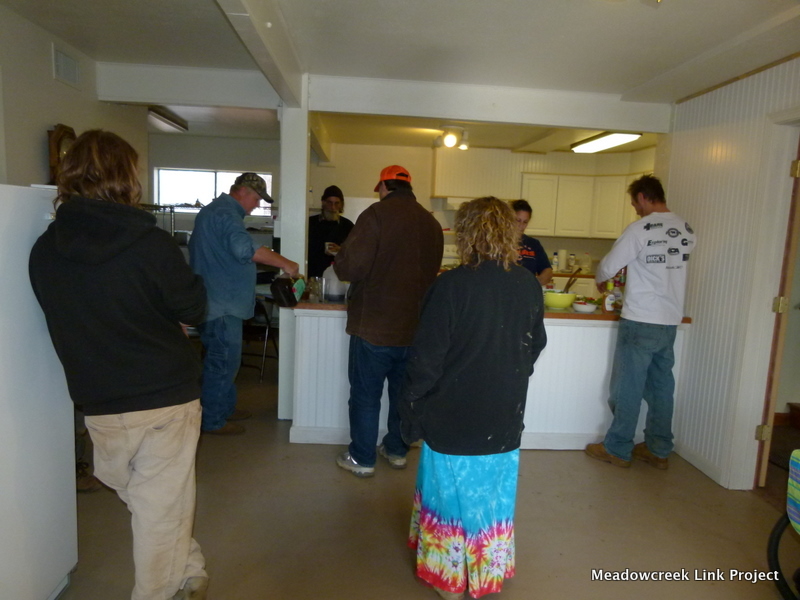 Following are pictures of the Hermansen cold frame workshop at Meadowcreek.